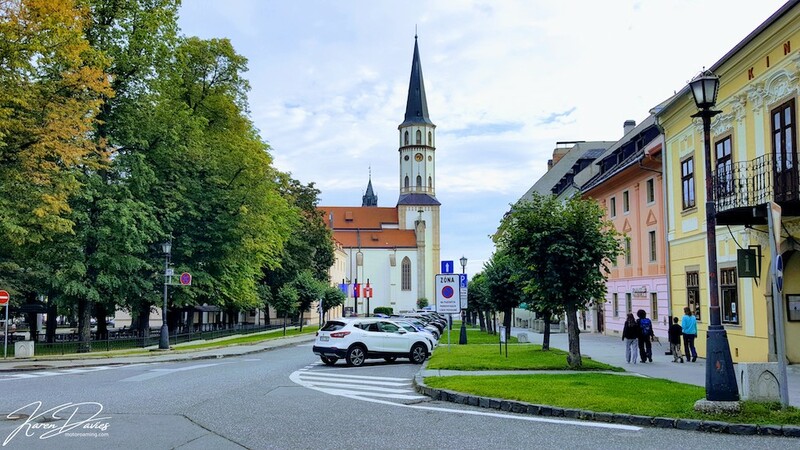 After the joys of 7 weeks in Poland, we entered Slovakia with curiosity – our second country this year that we knew so little about. We were looking forward to the secrets we would uncover about this off-our-radar country. And after Poland, would it live up to our profound experiences there? We have come to learn though that we never judge one country against another, as this is such a futile exercise. Each place has its own treasures, character and identity and as responsible travellers, it is important that we honour their uniqueness and not compare them, as somehow in that comparison we loose the real joys of the place we are discovering. “Seek and you shall receive”, I think is how the quote goes. 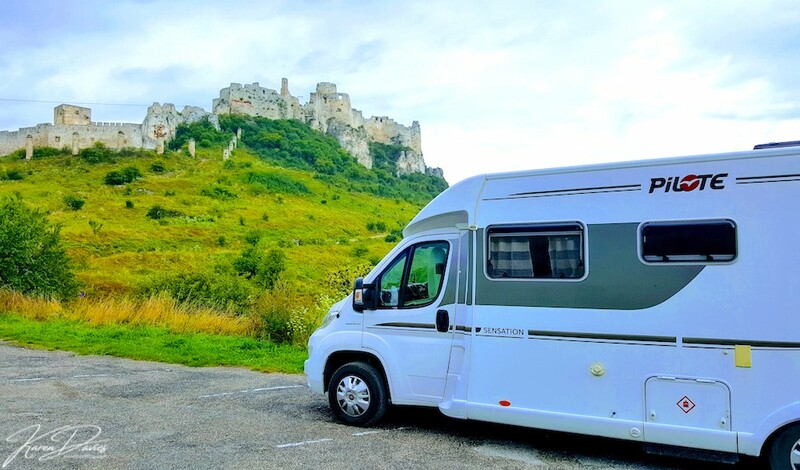 So with intrigue as our driver we looked forward to what Slovakia would teach us, share with us and how it would enrich us. 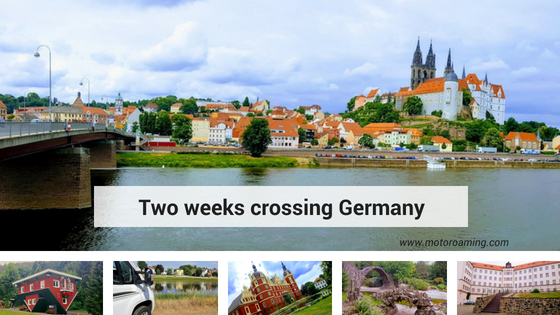 We knew that three weeks was too little time to do it justice, although not every country can be a road-trip like Poland has been. So what greater surprise than to have day upon day of beautiful gifts from this very special little country. Divorced formed from the former Czechoslovakia on 1 January 1993, Slovakia enters the book for one of the youngest countries in the world. 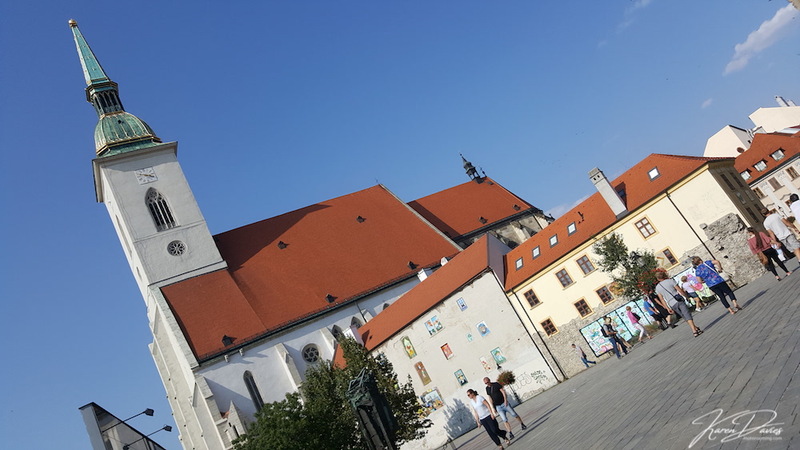 Unlike some other countries we have visited, who seem to make it a primary goal to create a unique identity and demand a place on the world’s stage, Slovakia seems very different. There is a very gentle energy about this place that seems to float on by regardless of what they ‘should’ or ‘should not’ do. Speaking to the locals, there are political frustrations just like anywhere else, although as a visitor we glided over these issues and succumbed to its natural charms. One village after another drew us in – to their churches, their old town icons and their castles. I never seen so many castles, churches and chapel as we have here. 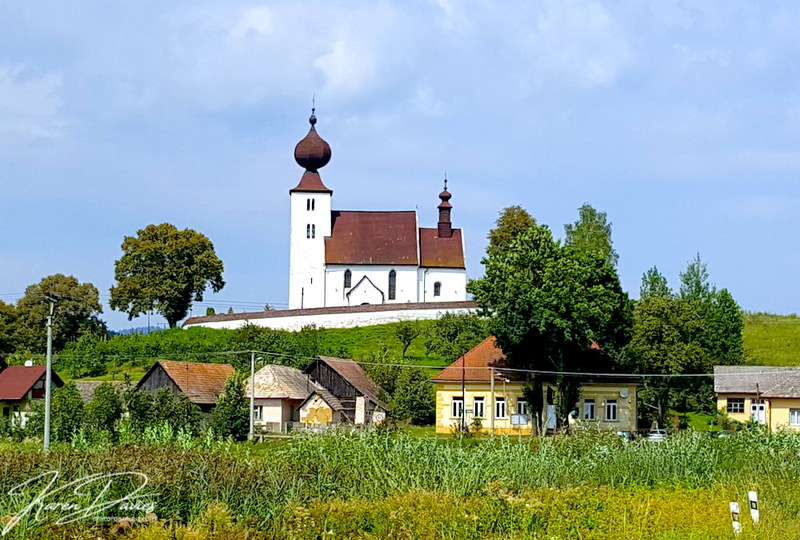 Every sight on Slovakia’s horizon seems to be shaped by a spire, partnered in harmony by the romance of gently rolling hills, mountains and secret gateways that reveal something significant about the country’s legacy. Here we share some of our finds, that undoubtedly will have us returning to this fabulous land for many more adventures. 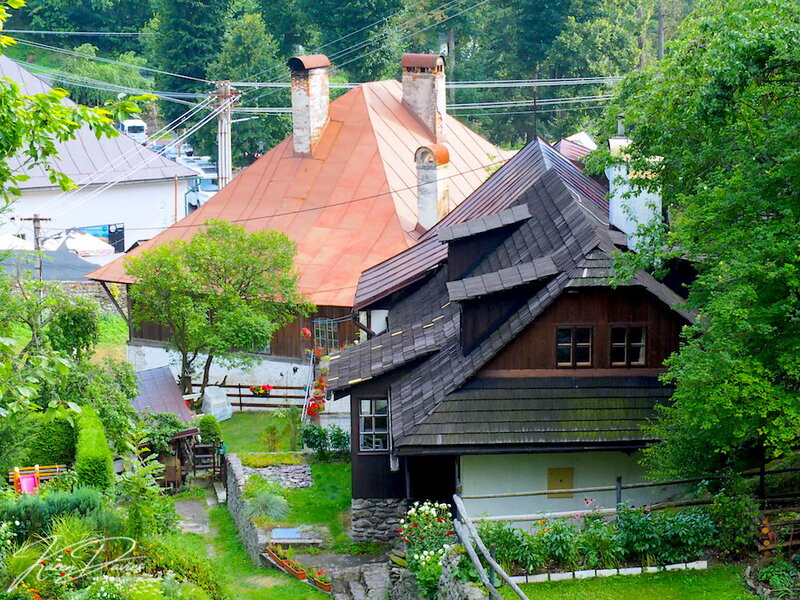 We hope we can whet your appetite to the secrets that Slovakia holds close to her chest. Check out our Interactive route map below. Forming the highest point of the Carpathian Mountains that stretch from Czech Republic to Romania, Slovakia’s High Tatras (Vysoké Tatry) are magnificent creatures. 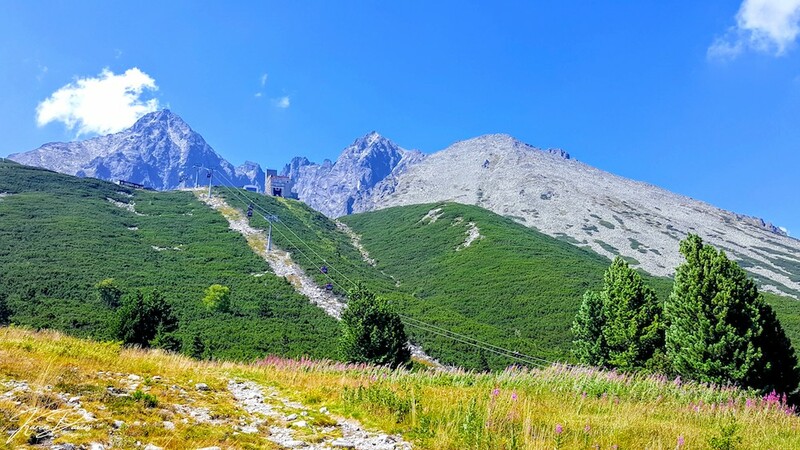 Creating a natural border between Slovakia and neighbouring Poland, these impressive peaks reach a whopping 2,655m at Gerlach Peak and have been part of the UNESCO Biosphere Reserve since 1993. One of Slovakia’s iconic symbols is Mount Kriváň which, due to its angular shape, has been voted the favourite by nature lovers and is said to be a mountain that every Slovak should climb at least once in his life. 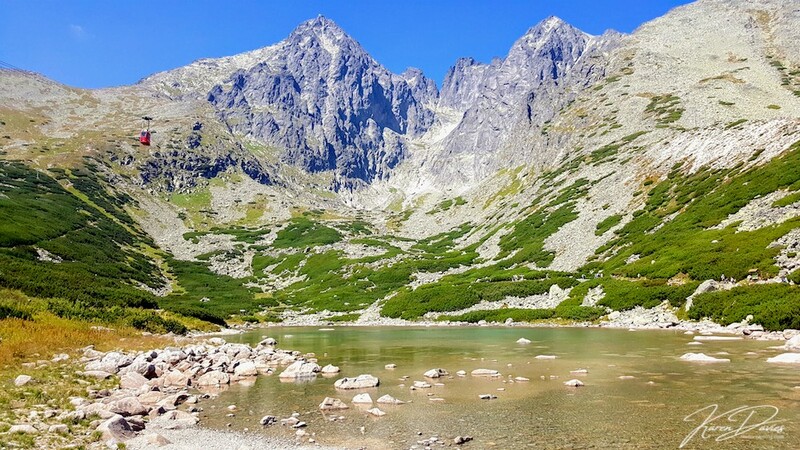 If you love the outdoors, then the High Tatra National Park will sink firmly into your affections; with its crystal mountain lakes, abundant hiking and cycle routes, rare flora and fauna, waterfalls and general majestic beauty. 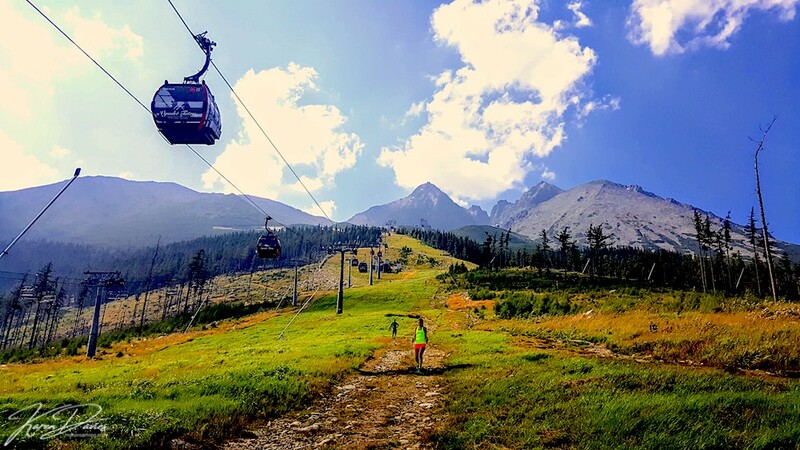 Whether you choose to put on your walking boots or take a cable car to the Lomincky štít at a mere 2,534m, you will gasp at this beautiful landscape which must have been designed by one hell of an artist given its texture, colours, shapes and subtle mountain melodies. We found two very special places; one was a bit more touristy although the second we had pretty much all to ourselves. Parking at Tatranská Lomnica where there is a massive free car park (suitable for overnight parking if you have a camper) you can get access to the three stations that take you up to Lomnica Peak. 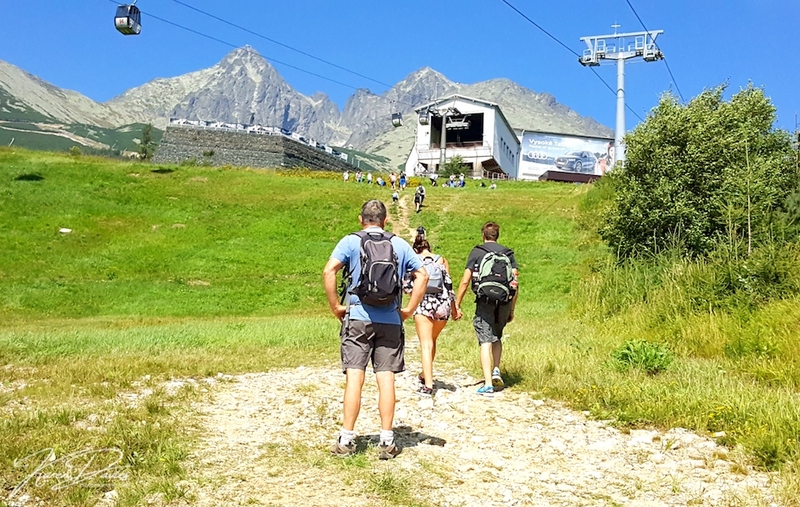 Now there are a couple of options; either ascend energetically with one of the most challenging hikes we have undertaken, or enjoy the view and give your lungs a good rest by riding in the somewhat expensive cable car. 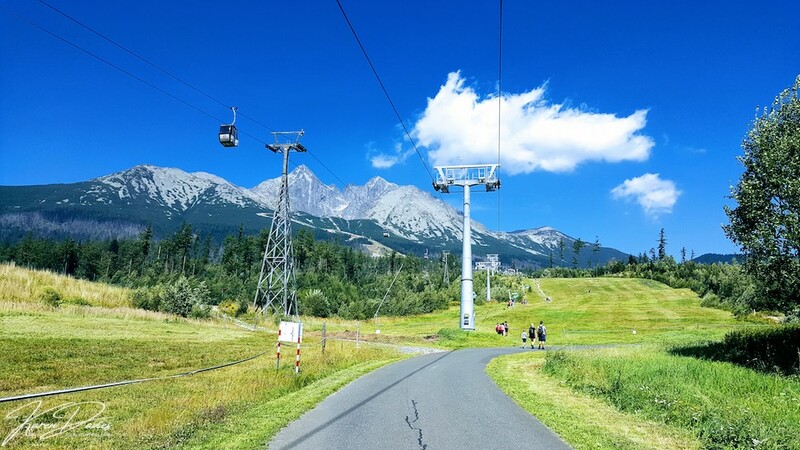 We chose to hike up to the first level – Lomnicky Štart and then took a one-way cable car to Skalnaté Pleso which reaches 1751m, with an eye watering €12pp price tag (there is also a €2pp deposit on your GoPass card, which is refunded on its return to the ticket desk.) This is a stunning spot just to grab a coffee or beer, hike around for a bit or take the next cable car up to the Lomincky peak itself. This has the reputation of being the steepest cable car in Europe and rewards you with stunning views. Sadly it was too windy the day we visited and if we’re truly honest, Myles’ vertigo put paid to this adventure. Crazy fools that we are, we decided to walk down the 1300m descent over three miles!!!! NEVER again. My toe nails are still bruised. It was a really tough descent even with decent walking boots, so needless to say we took the cable cable car back along the final section to the finish line. Albeit another €24 worse off our feet were eternally grateful. This area is a fabulous place to explore with some terrific hiking and even better skiing if you love winter sports. Here’s a useful link to help you make the most of your trip here. Just a mere 40 minutes drive away as we flirted with the Tatra’s skirt tails, we reached Podbankse, which after the tourist crowds of the other resorts we passed along the way, is a fine treat. 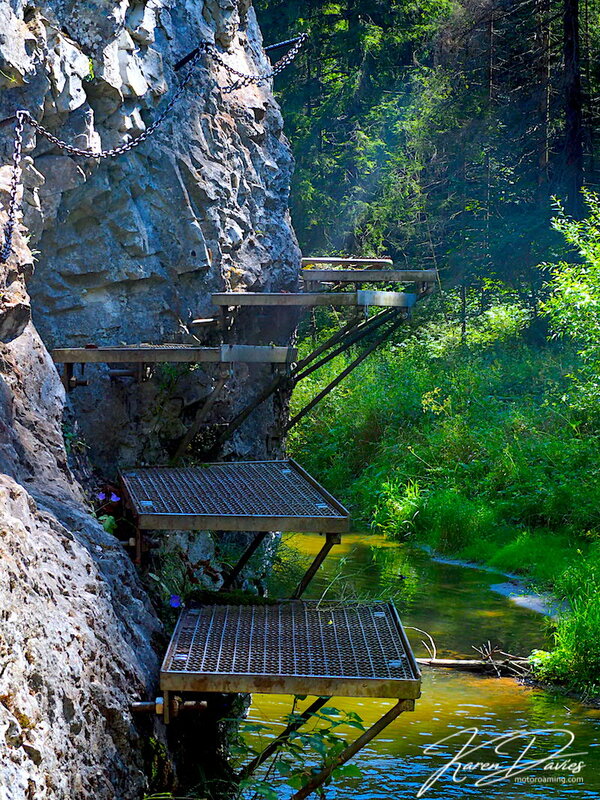 The only visitors here are those who are keen on serious hiking and cycling. 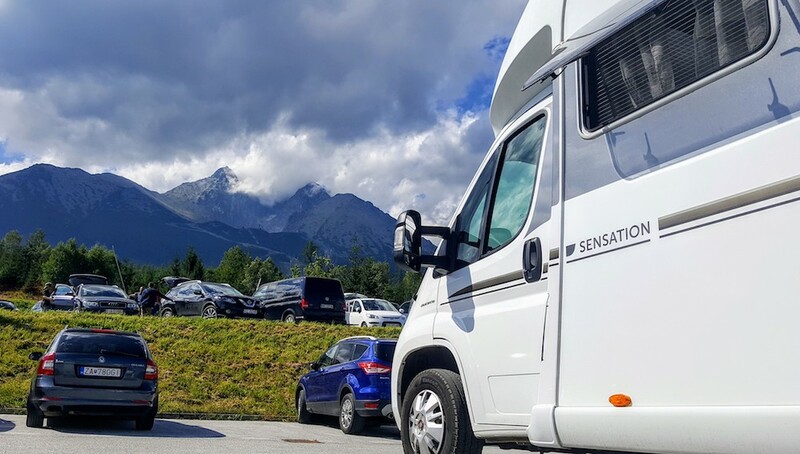 The car park is another great spot for overnighting – we had two nights here and filled up with water from the mountain stream. It is an outdoor pursuits Mecca with peace and tranquility as your only companions. We would love to have reported sights of bears or chamois although alas not on this trip. 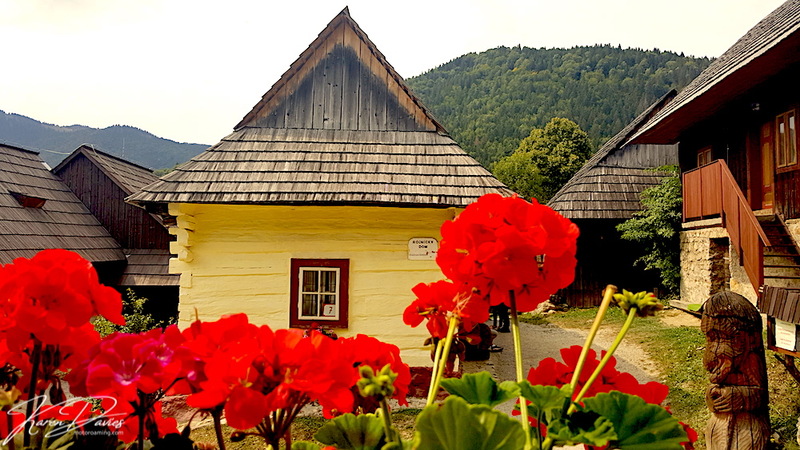 Podbanksé is the farthest west settlement of these Tatra treasures and in itself has plenty of history; from 15th century mining to partisan activity during the Slovak Uprising in 1944. Although people com here to enjoy the natural beauty of this area, as the river Balá courses its way down from the mountains offering, in spring rafting opportunities we’re sure. In the height of summer, boulders and water combine to make for a picturesque vision of mountain loveliness. And here you have the wonderful view of Slovakia’s iconic, angular mountain Krivan, which is a symbol of Slovakia freedom. It is said that every Slovak must climb this iconic giant at least once in his life. Click on any one of the images below to see what we captured of these amazing mountains. Driven by a primal need for food supplies and in truth a bit of the red stuff, we googled our nearest supermarket. Kezmarkok jumped up on our search with a Tescos and Lidl and only 15. minutes drive away from Tatranksy Lomnicka. Happy days. It just so happened to have a UNESCO wooden church, so had to be worth a wander. Shopping done and a coffee calling, we took a walk through this charming town, which with its cobbled streets, ancient Stone Age history and Renaissance merchant houses that create a picturesque alleyway, we were convinced that there were a few tales to tell here. One of which is its flax weaving and linen manufacture which is said to have attracted customers as far south as Greece and Albania. 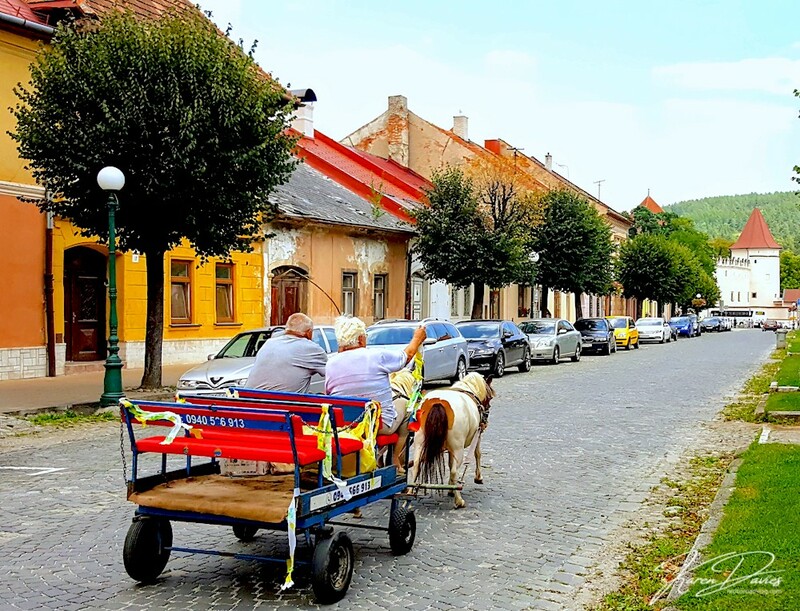 The castle dating back to 1400s is a beautiful sight and rounds off a well-deserved diversion to this charming village as you continue your Slovak travels. 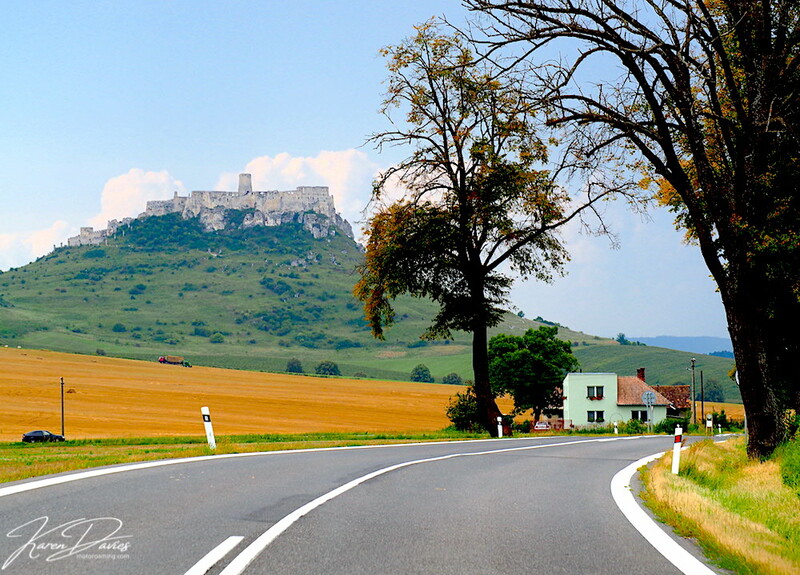 With a short hop, skip and jump on a deserted motorway, we headed east towards the region of Spiš famed for its 10 acre fortress castle, picturesque town and chapel monuments. 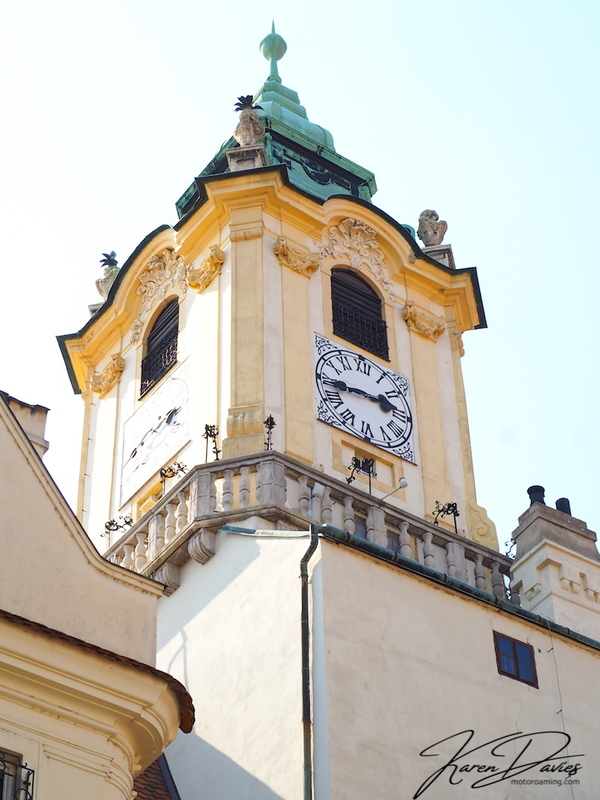 We started off with a lunch stop over at a UNESCO church at Žehra and then when the crowds had left the popular Spišsky Castle, we tootled up there for an overnight stay. The castle is known to be the largest compound in Europe and is on the UNESCO World Cultural Heritage list. As we approached this regal, travertine rock, we could see it rise from the earth in some sort of geological phenomenon, offering the viewer so many different faces depending upon the position of the sun. Come the darkness, it provides a completely different view with its night lights shining as a beacon to the local neighbourhood reminding them of its prominent stature. 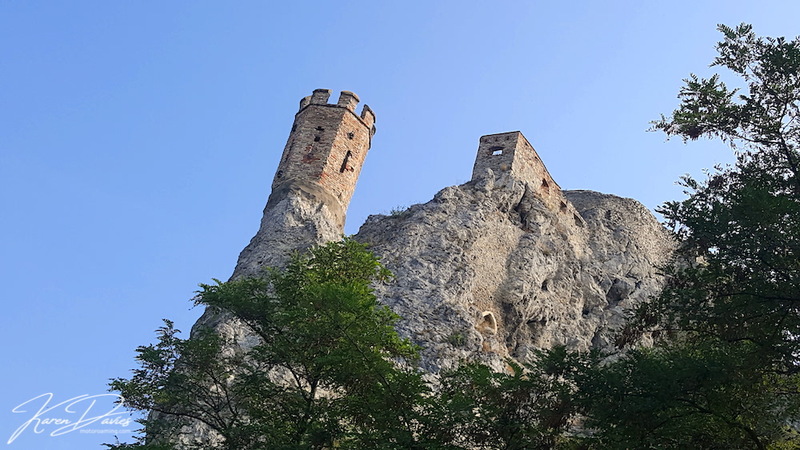 Dating back to 12th century, Spišsky Castle was originally a fort that was used as defence against a Hungarian feud at the time. After a fire in 1700s nearly destroyed its structure, it has taken serious preservation works since 1970 to conserve its legacy. It stands as a reminder of history, yet today whilst tales of the past play a part in its modern identity, concerts and plays are the greatest centrepiece of these fine ramparts. You can enter the castle €8pp. One of the nicest perspectives of the castle is from the town bearing its name ‘Below the castle’. 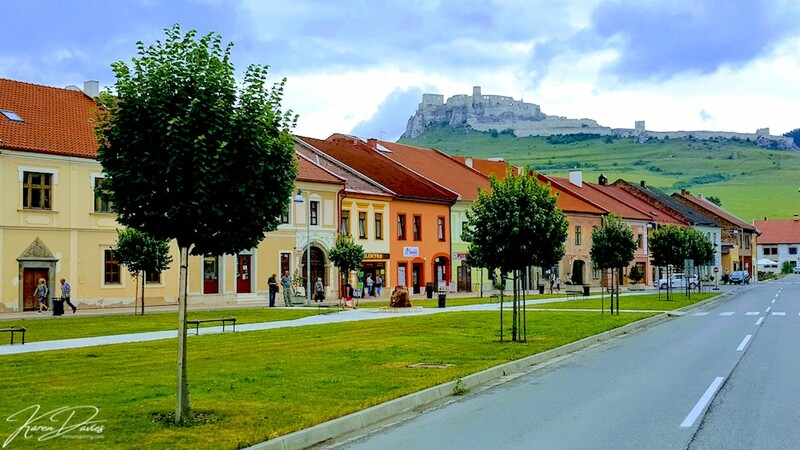 This colourful, tree-lined town creates an atmospheric foreground to the castle and frames this whole scene beautifully, making it, for me, an iconic image of Slovakia. Just a short drive up through the town there is an almost missable vista. The church walls invited us in to its protective embrace and we found yet another magnificent portal to the castle and town below. The street with its kaleidoscope buildings gave us a real ‘back in time’ feel and it was mesmerising to just stand and contemplate the conversations from generations gone by. 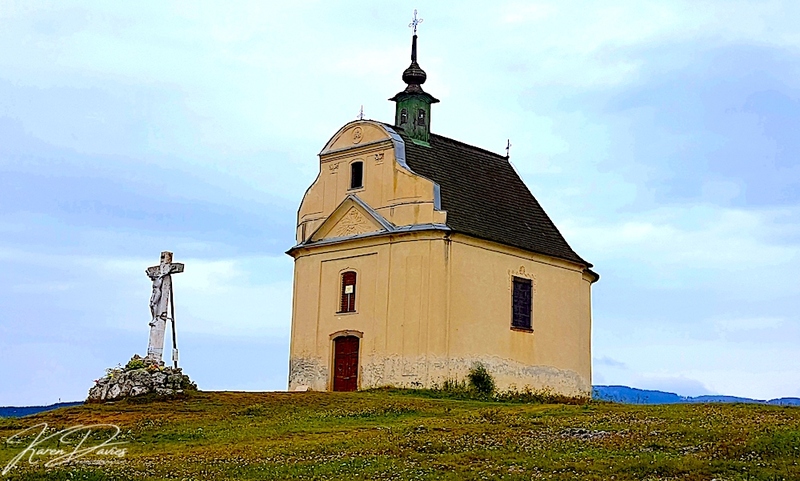 And if you think that this Spišsky treat is complete, then continue driving not more than 10 minutes through the winding roads westbound and you will come across another geological wonder at the Chapel of the Holy Cross. The Siva Brada geyser and the chapel are an unexpected surprise and although the chapel itself is rarely open, seeing the thermal activity on the top of the hill creates a whole new story. As you climb down the hill, there is a mini geyser with its calcium surroundings and travertine rock that tell a tale of natural springs and thermal activity that I never expected to see in Slovakia. 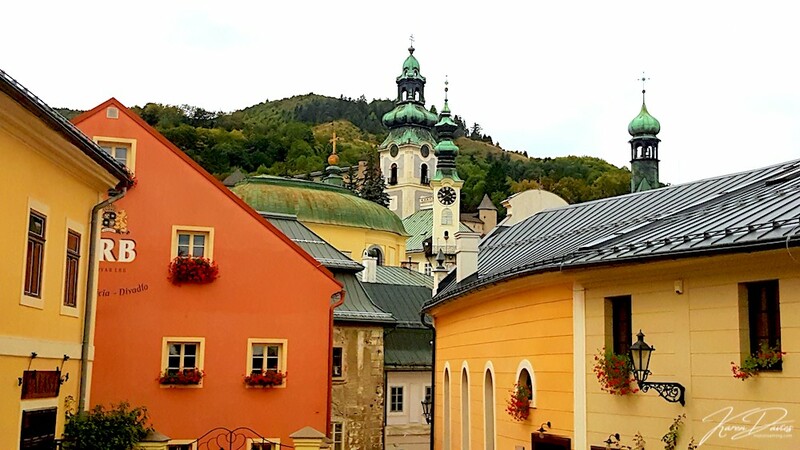 In fact since Slovakia joined the Schengen Zone, it has put the country on the SPA map and now there are over 20 resorts around the country that optimise the healing and mineral properties that lurk beneath the surface of this magnificent landscape. Check out our photo gallery by clicking on the image below and scrolling through. 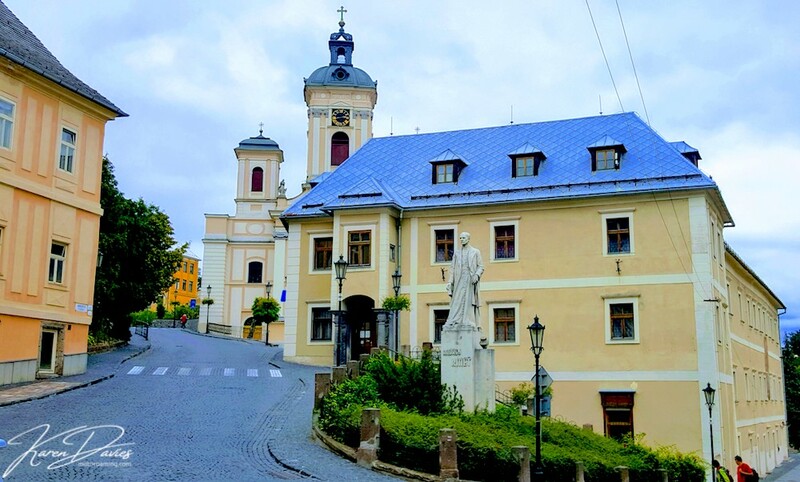 After the joys of the Spiš region, we stumbled upon the delights of yet another UNESCO site – Levoča. Slovakia is simply teeming with ancient sites worthy of this honourable badge. 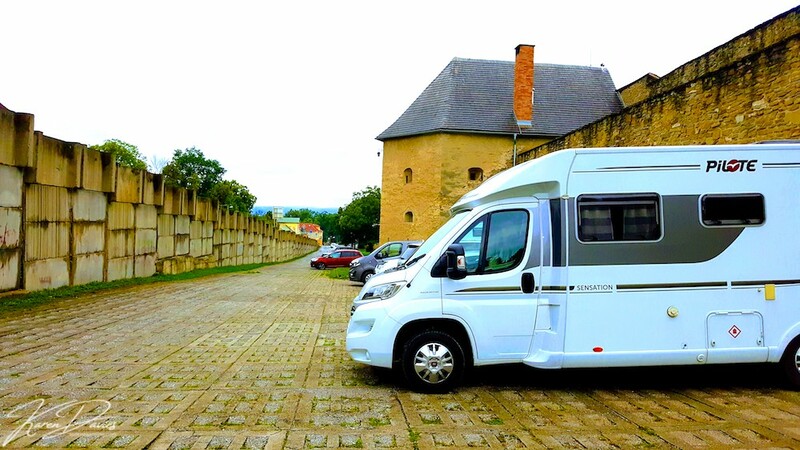 Parked up outside the castle walls, we found ourselves drawn into the heart of the citadel protecting its residents from the enemy looking to penetrate its fortress. 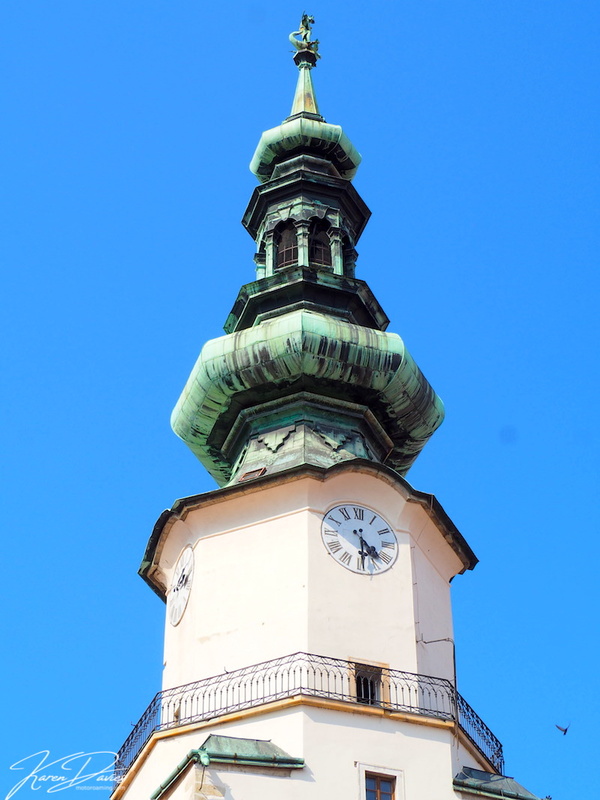 And as we strolled around this charming town, we were treated to what has become a symbol of Slovak culture, colour! Every building a different shade almost as if their communist suppression has driven them to stand firm against the conformity of greyness and shout out from the rooftops about their uniqueness and individuality. It feels like such a trademark of these eastern European countries and we love it. 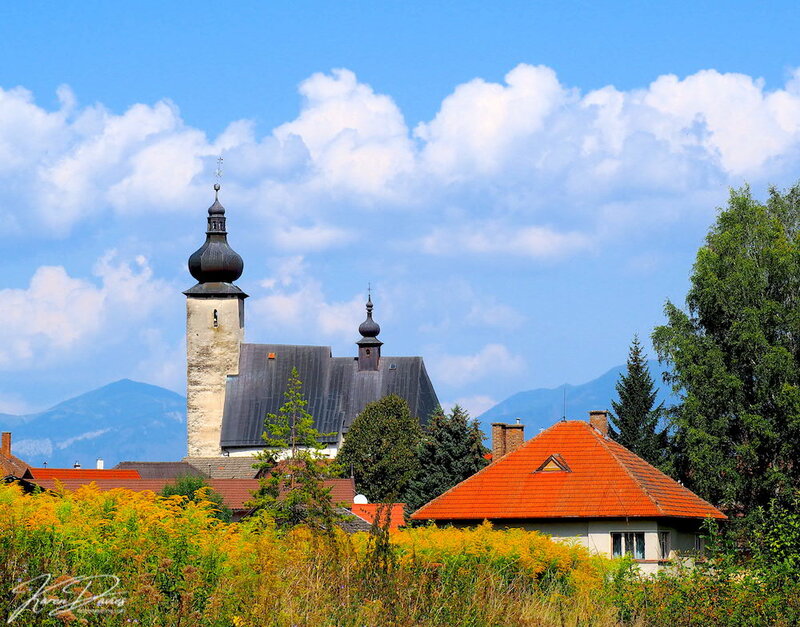 In addition to its colour, Levoča is known for its renaissance buildings and in the Gothic church you will find the tallest wooden alter in Europe. 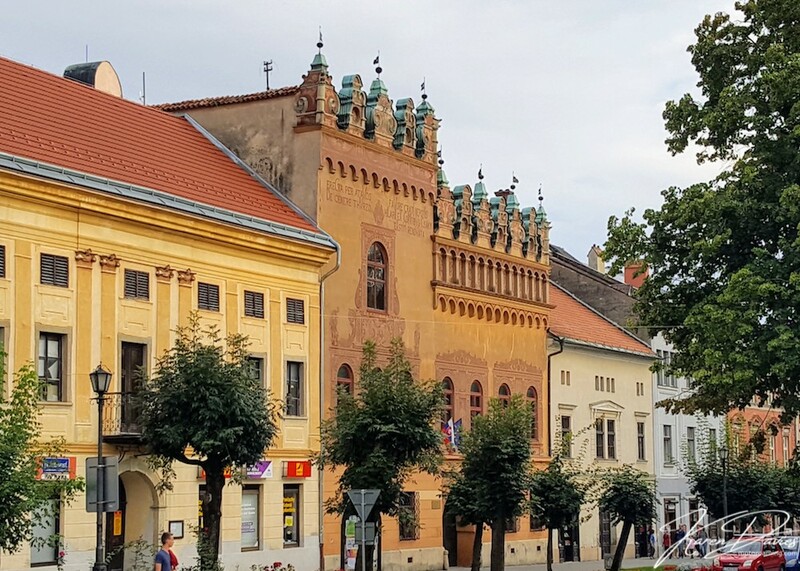 With a colourful history to match its building facades, Levoča lays claim to fires, Papal visits and a resurgence in interest in its historical artefacts. Today it is a loved and honoured as part of the UNESCO family and is very worthy of a visit. After some research we found a bit of gorgeous greenery on the map and when we delved a bit further it became apparent that this was a hiker’s paradise. 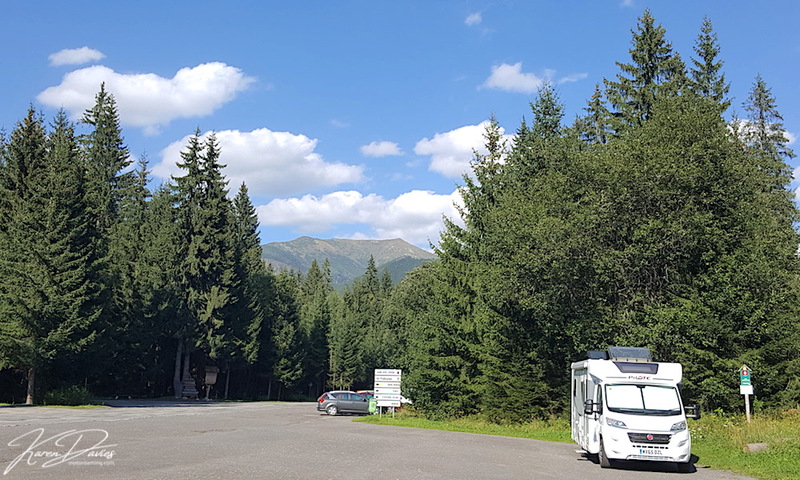 Both in name and spirit, the Paradise National Park just south of Poprad was going to offer us a stunning couple of days and the most challenging walk we have ever done. Entering the Park gates, we felt an air of anticipation fuelled by friends who had confirmed that this was indeed an area of outstanding beautiful and treks through the gorges that would seriously test Myles’ vertigo. Based in Camping Podlesok right in the heart of the Park, we had walks directly from the campsite and looking at the number of vehicles in the car park, we knew the popularity of this place must say something about its splendour. 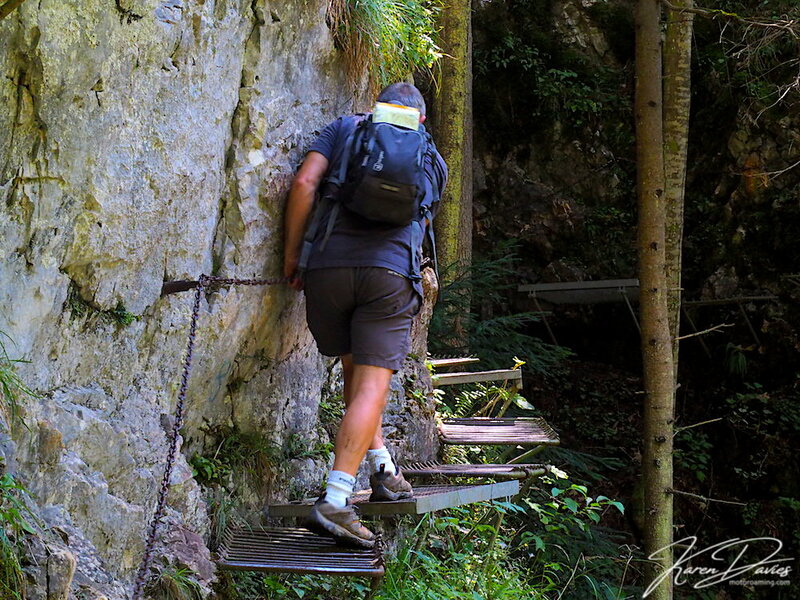 We had been advised to do the Prielom Hornádu walk, which by all accounts was the easiest of the gorge walks. The pictures we saw on the internet showed us images of wooden ladders scaling tall waterfalls and metals steps spiralling around rock faces. The easy route would be much appreciated for us to cut our teeth. After a €2 Park entrance fee, which gave you Emergency numbers and contributed to Rescue Insurance, we were a little perturbed, although never shy of a challenge, we forged ahead. The walk was nothing less than stunning although it took us to the edge of our comfort zone and in truth, probably a little on the other side of fear. With sheer rock faces that had to be navigated by rickety iron steps and chains we knew that we would be tested both physically and mentally. After four miles of following the gorge we arrived at the cafe bar at the end exhausted and yet exhilarated in some perverse way. And we had another four miles to return home, although at least this was through a meadow that was flat and dry. 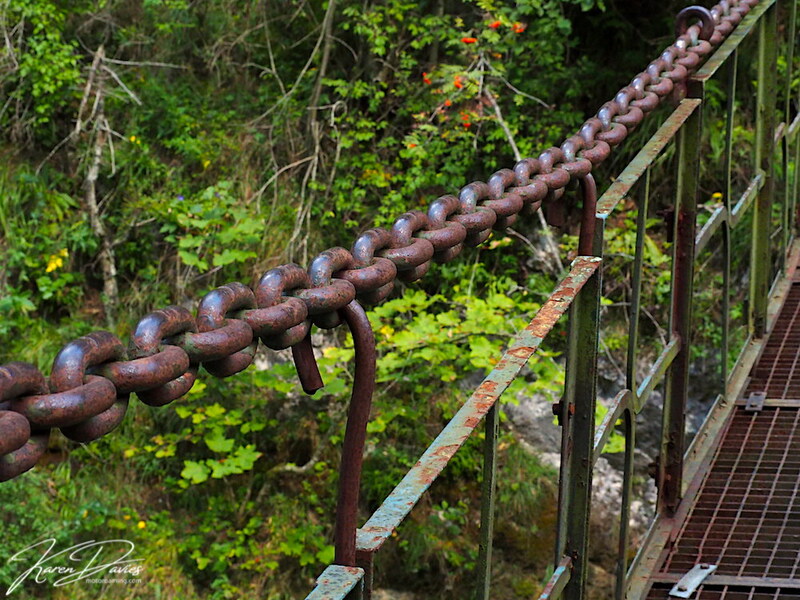 This was an experience that defied the term walk – it was a trek that from a health and safety point of view, in England would never have been allowed without hard hat, harnesses and ropes. Still it was a thrill and an achievement. Check out this gallery of pictures to get a sense of what we accomplished. I can only imagine what the other walks were like. The one was enough for us, for now! At the southern end of the Park we found Dedinky, which lives up to its cutesy name. Mountains, lakes and relaxation it was just a delight in the middle of absolutely nowhere. This had our name on it for sure and with a wild spot for two nights, we were very reluctant to leave. We had the chance of visiting the Dobšinksá Ice Cave, which was about 15 minutes away and is one of a number of caves in the area. Although we chose not to visit; we hear that it is a bit of a hike to reach the entrance and you pay 8€ per person to enter the cave and a further €10 if you want to take any photos. We had already stumbled upon a little geyser to the north east of the country, so it intrigued us to find out whether there were more geological finds – and we were not disappointed. 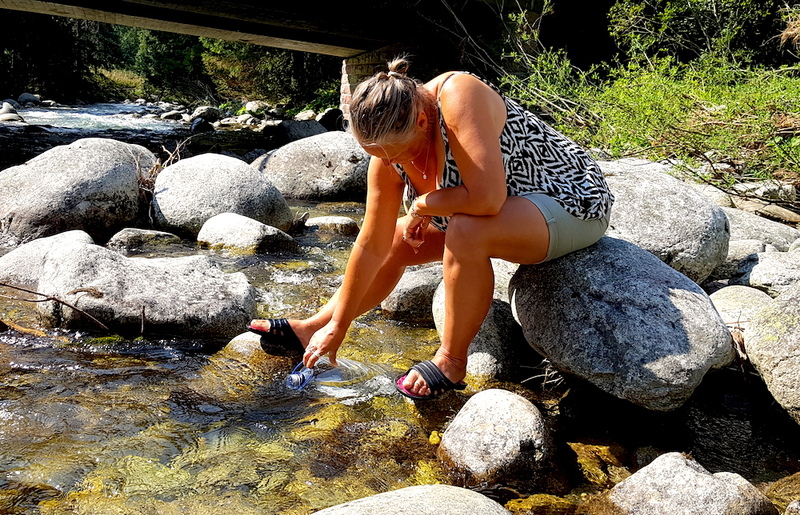 Just a little way into the Low Tatras, we found Liptovsky Jan where we were in hot pursuit of natural thermal springs that were open to the public. Now we have a little experience of some of the best thermals in Tuscany, Italy when we visited the White Whale in San Filippo Bagnoni, so our expectations weren’t huge. Parked up at a very noisy Aquapark we were disappointed that perhaps we had got this completely wrong. 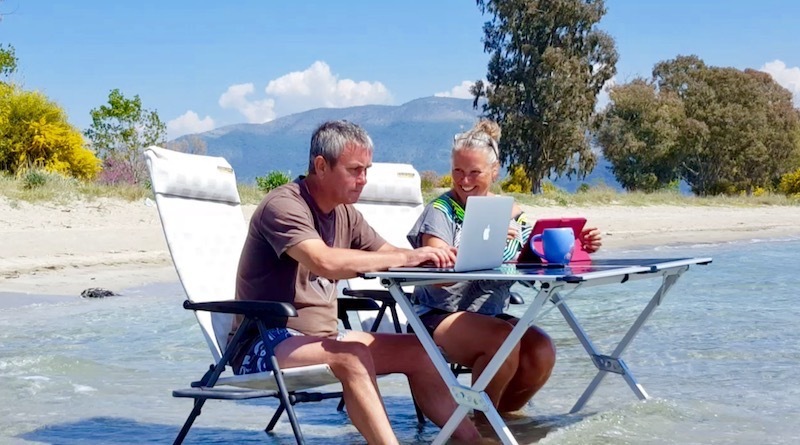 Although with a little bit of help from Google Translate, the lady on the desk gave us directions to the natural pool just a five minute walk towards the village. And it was very sweet and indeed not quite Tuscany, although with the backdrop of the village and the Gothic church in the background, we were glad to have seen it. 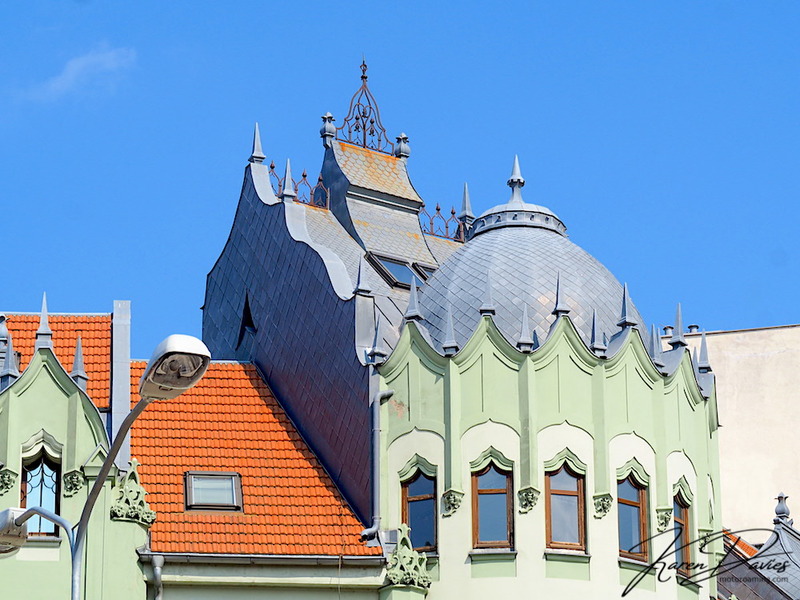 If you want to jump back in time, then Vokolinec is the place to go. 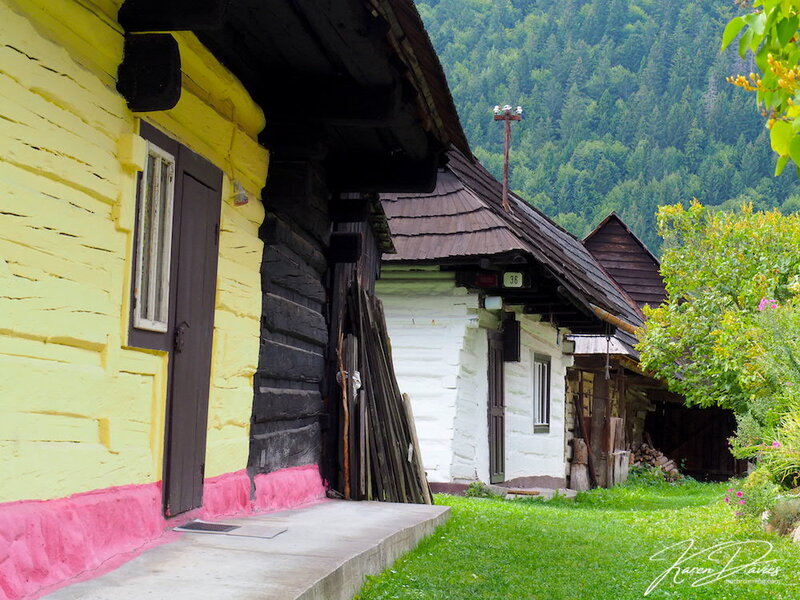 Devoid of tourists, this central Slovakian village has around 50 buildings that date back over 700 years. It is the most in-tact settlement of the region and is typical of this mountain area. The village is still a thriving community and for a mere €2 each we wandered around the cobbled streets marvelling at these liquorice all-sort buildings. 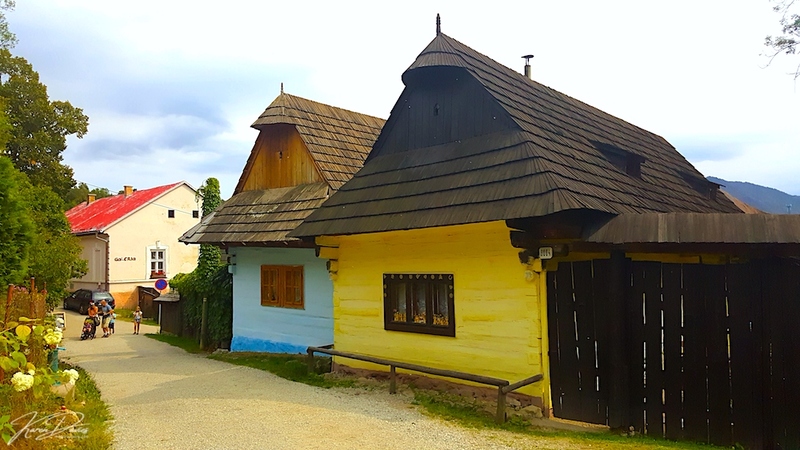 With stone bottoms and wood tops, these characterful buildings became protected in 1977 by the Slovak government and then in 1993 they came under the UNESCO umbrella, holding the reserve’s integrity as a folk museum. Today it also preserves the reputation for being one of the 30 most beautiful villages in Europe. 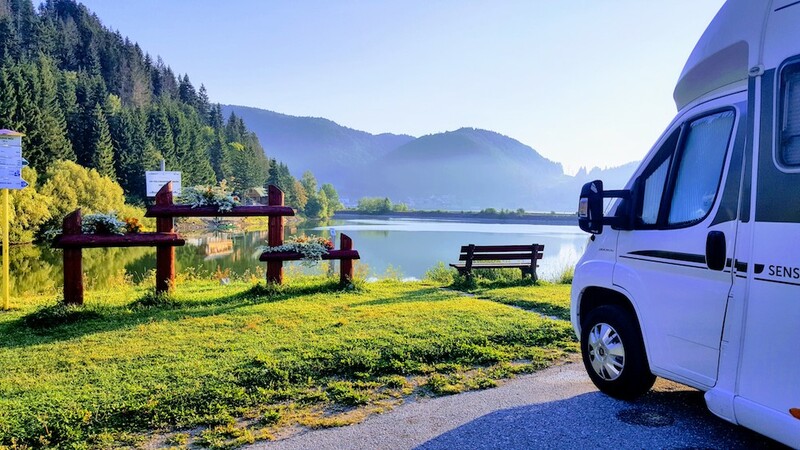 Life continues to buzz in this gorgeous mountain village that is surrounded by forested mountains. The terraced hill-sides are still farmed and with so much wood around, you can understand why this material is such an important part of their legacy. Carvings can be found all around the village from figurines to full sized bears. Their handiwork is incredible. 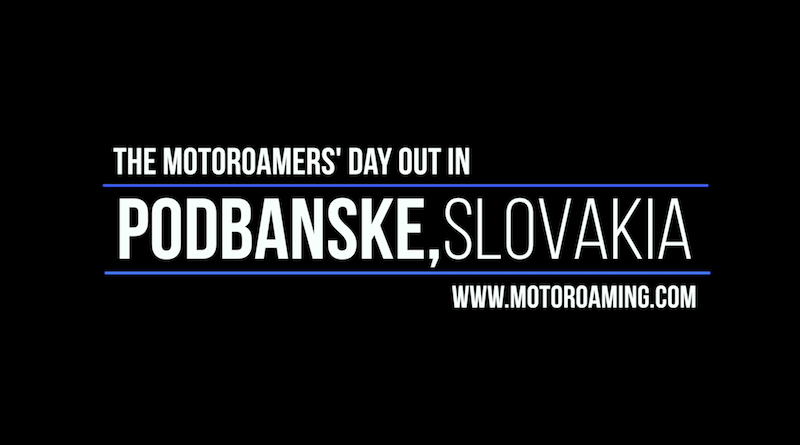 This is a must visit place and shows a very traditional side of Slovakia. Heading south from Vlkolinec towards Banksa Bystrica, it would be easy to miss a little cluster of houses that form an old mining village way up in the mountains. 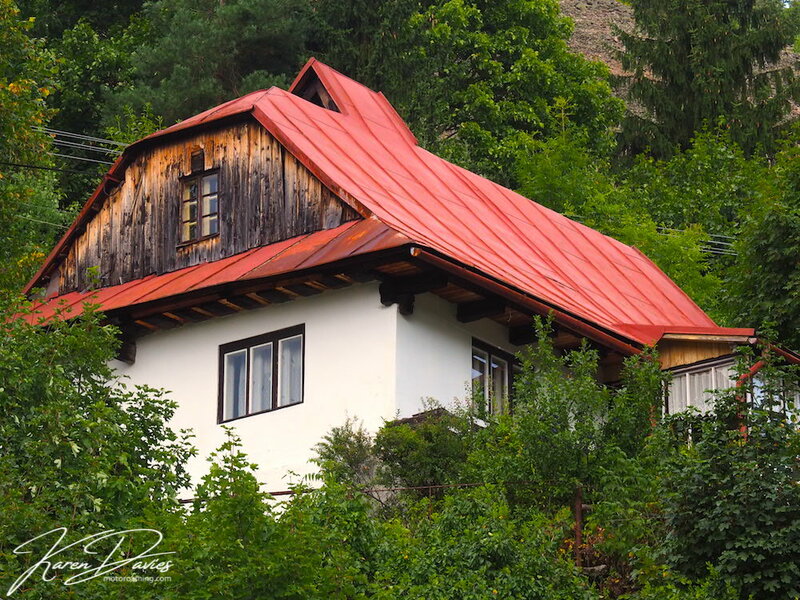 Špania Dolina is most definitely not on the tourist trail and if you visit this hamlet, you will be rubbing shoulders only with the locals who still go about their mountain lives with the dedication that history has passed down through the decades. The origins of Špania are not completely known, although it is thought that copper was mined here as far back as 2000BC. In fact in years gone by, this tiny, seemingly insignificant community was renowned as the Copper Metropolis of Europe. Although after centuries of mineral extraction by the 800 miners, the area closed its doors in 1888. Reminders of their mining past are dotted around in memorials and it is clear to see the mining influence in the houses that are built around the main square and up the mountain valley. Hikes around the slag heaps create a great view of the village that is hidden amongst the mountain undulations and a couple of hours will easily be filled as you take on the ghosts of Špania’s sons, fathers and uncles. If you take a walk through the summer season, you will be struck by the number of plum trees that border the streets, hills and valleys. Špania might well be on the map for its rich minerals although today’s gold is in their plum jam. And its easy to see why. Check out our Gallery by clicking the image below. 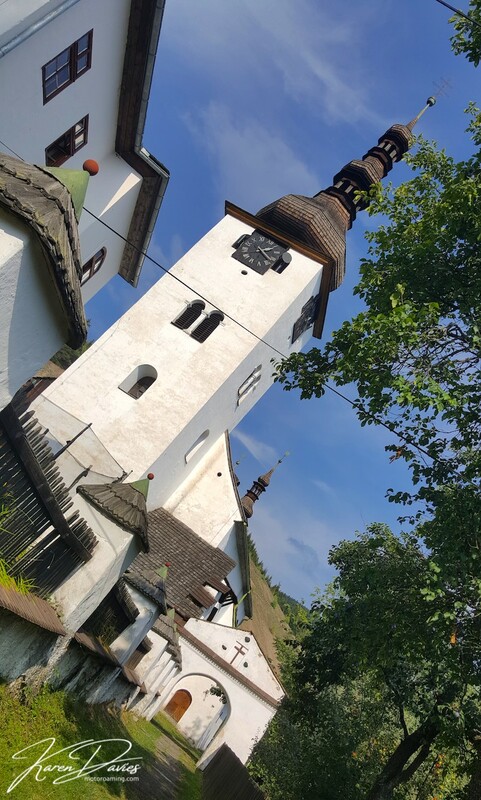 Driven by a desire to 1) leave the rather commercial looking Banksa Bystrica and 2) head for the mountains that lured us towards their lofty appeal, Banksa Štiavnica was our next magnetising factor. Little known and little visited, this is yet another wealthy mining town that has evidence of settlement dating back to the 3rd century BC. More recently though, this now Slovak town used to be nestled underneath the Kingdom of Hungary’s wing and in 1838 it held royal status. Banksa Štiavnica was ahead of its time on the European mining stage as it was one of the first to use gunpowder to extract its sliver ore. 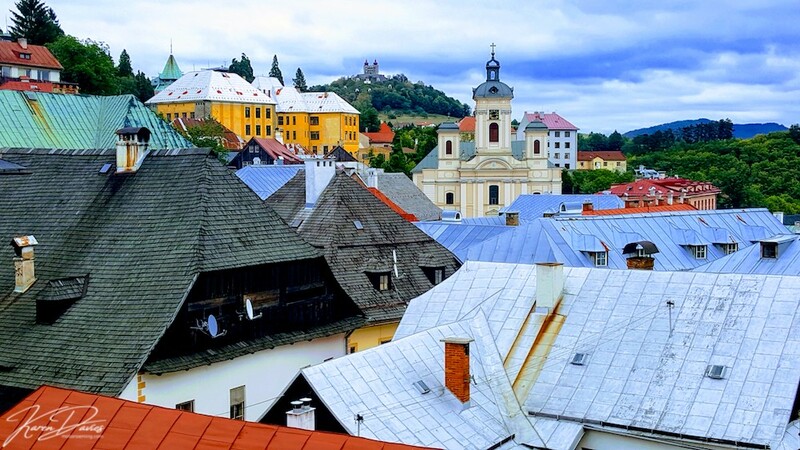 This medieval town is unique in its personality and design as it sits in the basin of a collapsed and ancient volcano from the Stiavnica Mountains. It’s not until you walk up to the top of the town that you get a sense of its volcanic status. The town carved around its sides, hugging the mineral rich walls that created its silver ore mining industry. Walking up the atmospheric main street there is an elegance to the buildings that line the cobbled street and we found ourselves drawn towards the old town square with its monument and ancient castle casting a shadow over its subjects. With giant church spires, protective castle walls and monuments erected to honour those who died with the plague, you would underestimate this town at your peril. 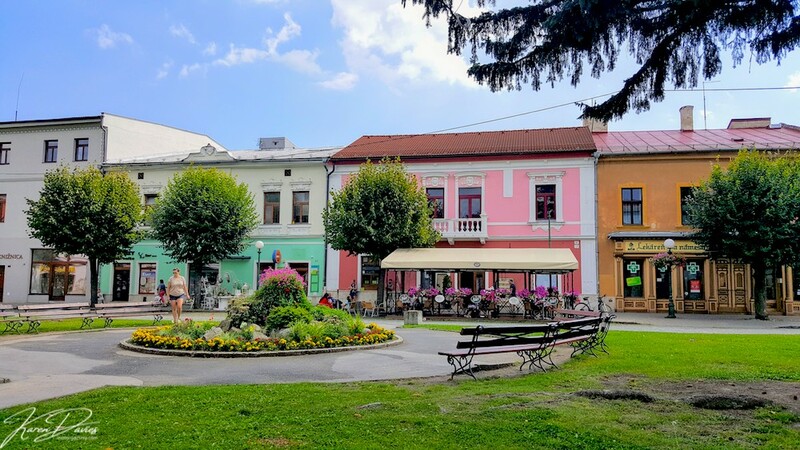 Time to wander is essential in this charming town, that for us felt far more authentic that its neighbouring rival, Banksa Bystrica further north. 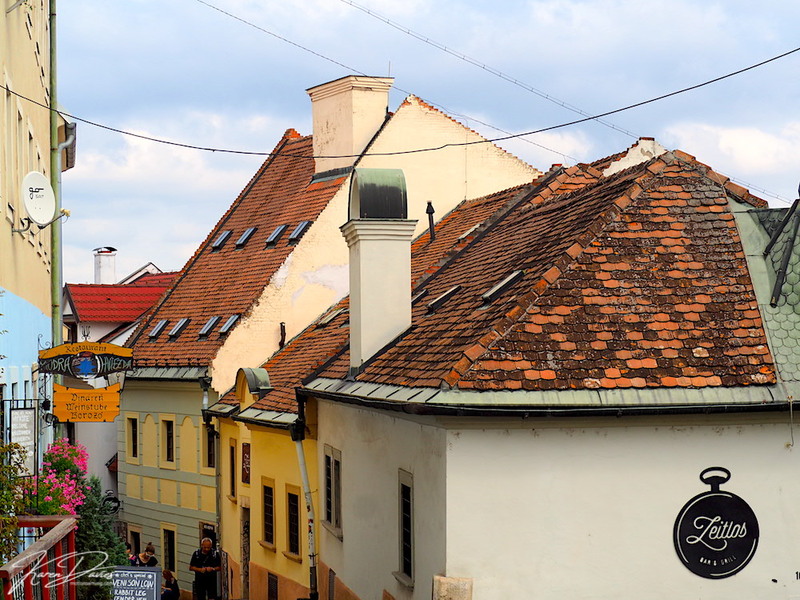 Calling Bratislava, capital city of Slovakia a secret may sound a bit odd, although to us, it really belied its capital status and was a delightful surprise. 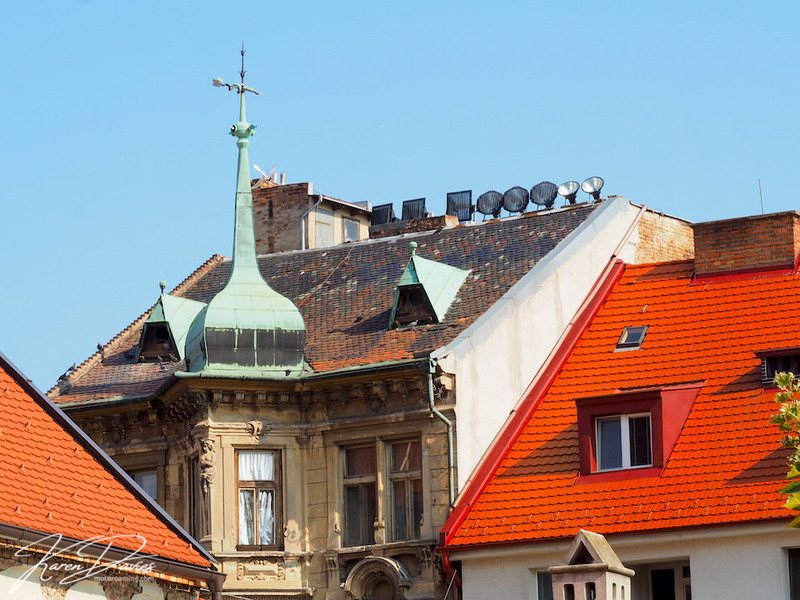 With competition across the border in Vienna to the west and Bucharest to the south east, it is easy to miss this gorgeous and characterful city. 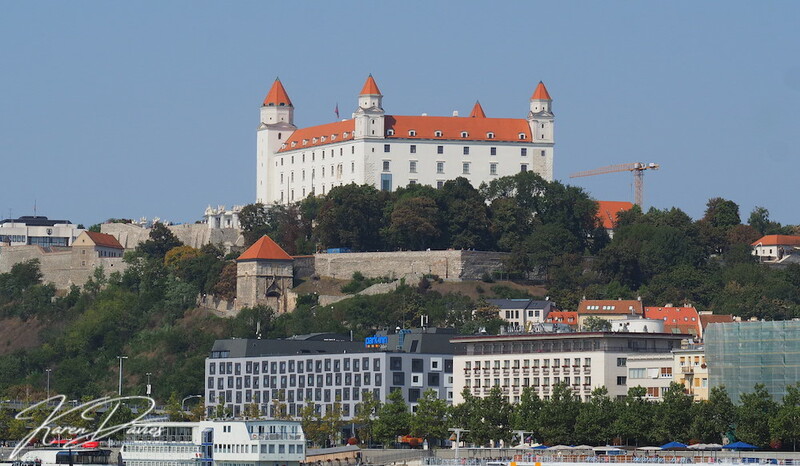 It certainly deserves a day to wander around its atmospheric streets, to climb to the castle and watch in awe as the hotel boats navigate the fast running waters of the Danube. 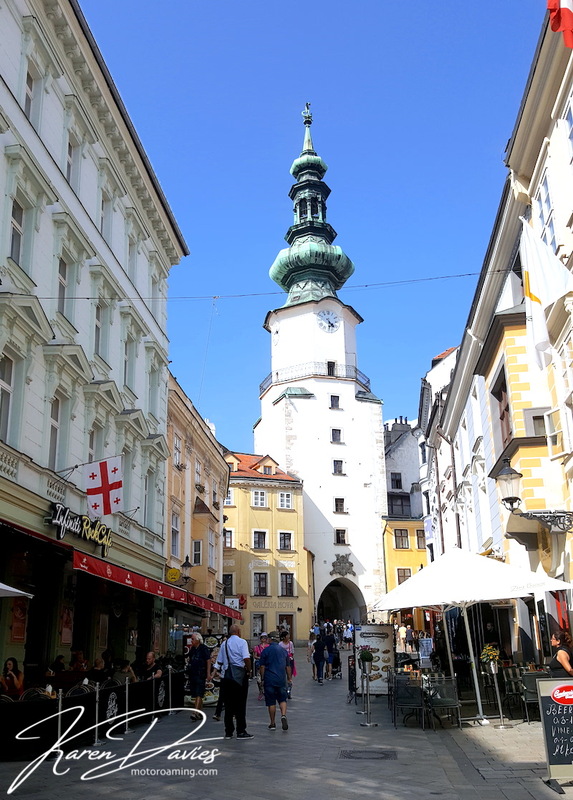 This city demands a little bit of respect and whilst perhaps not yet on the European stage, Bratislava will charm you. It will challenge to you think differently about capital cities and will capture a little of your heart whilst you drink its cheap beer and soak up its architectural magnificence. Check out our full blog on the city here. 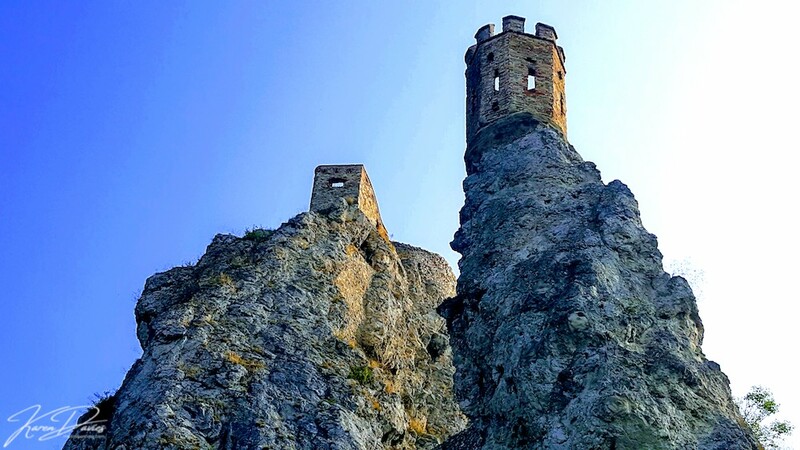 And if you travel 20 minutes north you will find Devín Castle, a 13th Century beauty that whilst only ruins now, certainly gives you a flavour of its grandeur. 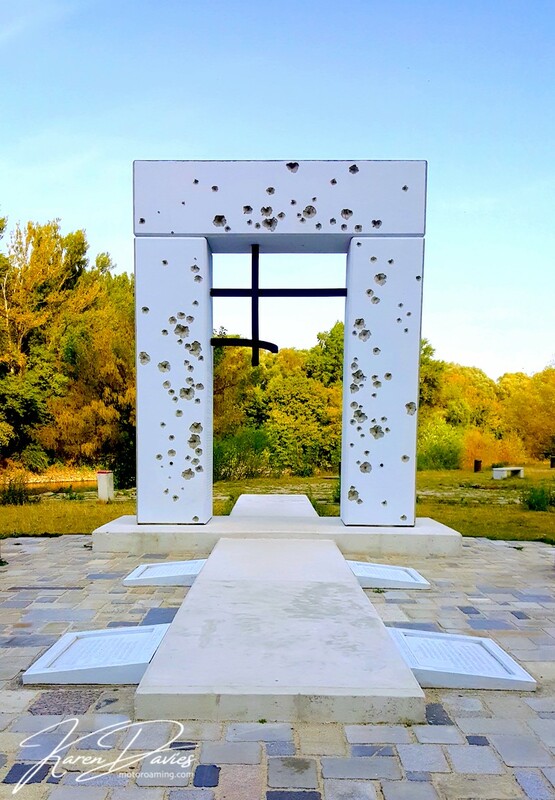 In addition to this, you will also find the area steeped in Cold War history with memorials around the riverbank that honour the 400 people who were said to have perished here as they tried to escape the communist suppression to the freedom of Austria. It is well worth the diversion and there was a lovely spot to stay overnight just before the entrance to the car park. So there we have it, just 10 gorgeous secrets to this incredible country that we were privileged to call home for a mere three weeks. There is so much more that we have yet to discover and we will, without doubt, return to uncover more of its simple yet wonderful treasures. 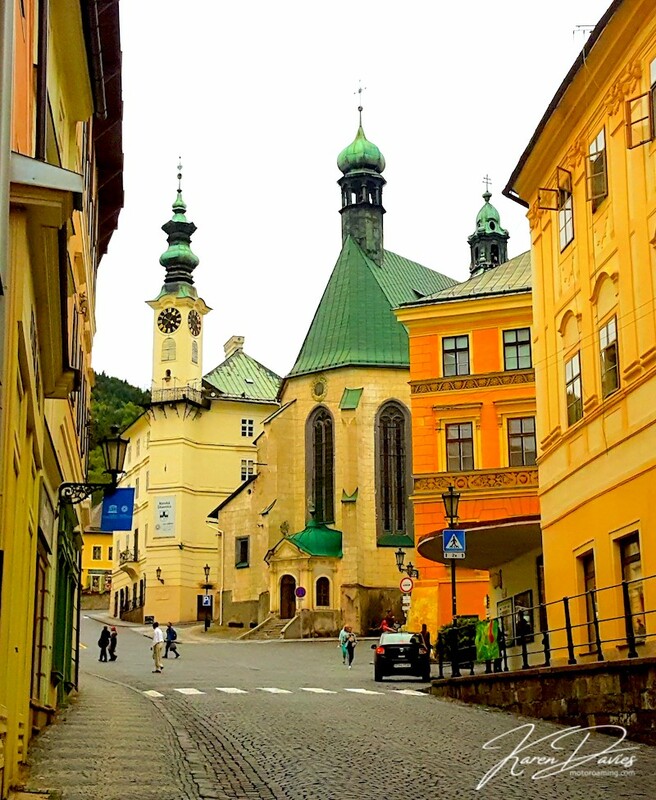 In the meantime we hope that perhaps we have whetted your appetite just a little with our Slovak revelations and that it entices you to find your own secrets and put Slovakia firmly on your favourite’s list. 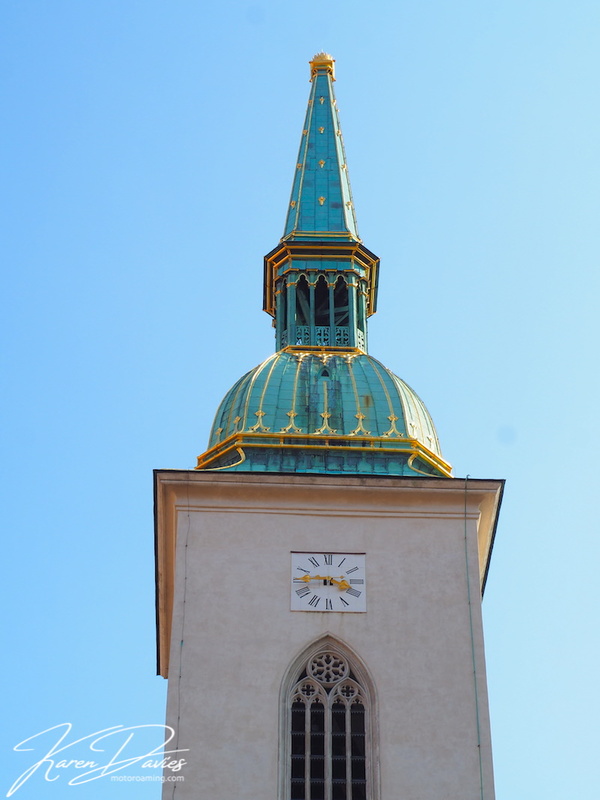 Bratislava – where in the world are we? Go on take a couple of guesses! In fact let’s turn question on its head. What is the capital of Slovakia? Until three weeks ago when we first entered this little known to us country, I think if either of these questions had come up in a Quiz I would probably have failed dismally. When it comes to Geography getting an A’ Level doesn’t really guarantee you knowledge about this sort of detail and, given when I was at school Slovakia didn’t even exist at the time, then perhaps I could be forgiven. 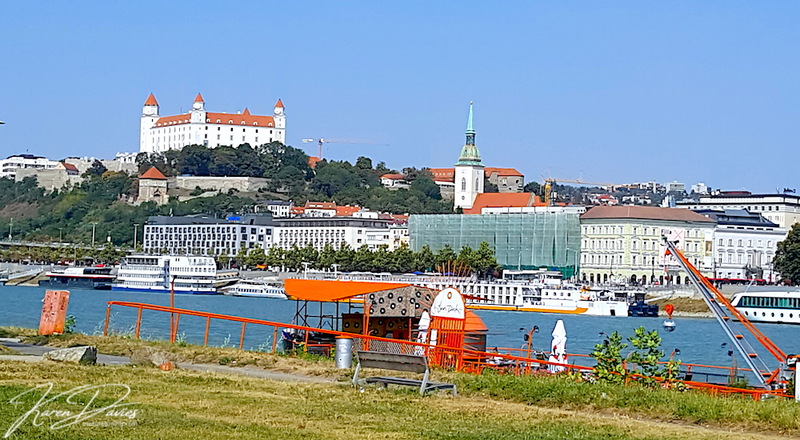 Having arrived in this lovely capital after an all too brief encounter with Slovakia, we wondered whether it would be the icing on the cake to our trip or a damp squib. In fairness it was neither, thanks to a bout of gastric flu which had both of us bed-bound over the course of 48hrs. So if we’re honest the enthusiasm to do anything more than just a perfunctory tour was firmly tucked up under the duvet. Still I felt compelled to go visit – I think this is one of the few downsides to travel writing; when you’re blessed with being in a new place, it feels important and necessary to comment on your experiences. No bad thing, yet it is this passion that drove me to leave my beloved in bed and go experience Bratislava, for my very own Brief Encounter. And I’m glad I did as it was very pleasant. Let’s start with an atmospheric build up to get you in the mood. Picture the grey-blue waters of the mighty Danube river, which crosses through four country capitals en route to its Romanian Delta and Black Sea homecoming. A river that buzzes with long, square hotel boats that cruise its fast flowing waters with the odd jet-ski braving its engine powers against its forceful flow. Riverbanks that equally vibrate with a throng of people as they sit on make-shift, artificial beaches, play volleyball and promenade with their kids along Europe’s second longest river after the Volga. 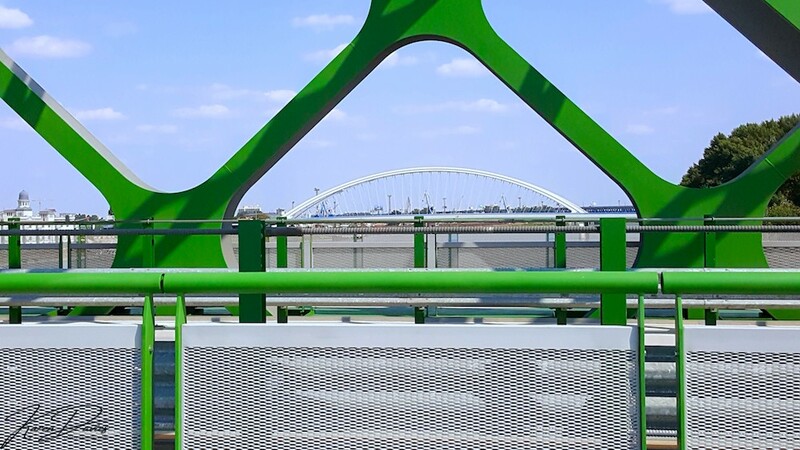 Add to that, the vision of a fusion of ancient and modern culture as you are welcomed into the city’s beating heart by a UFO bridge that looks like something out of a Star Trek movie, with the backdrop of a castle placed atop of a hill as if put there by a child making a LEGO model. That really messes with your mind. 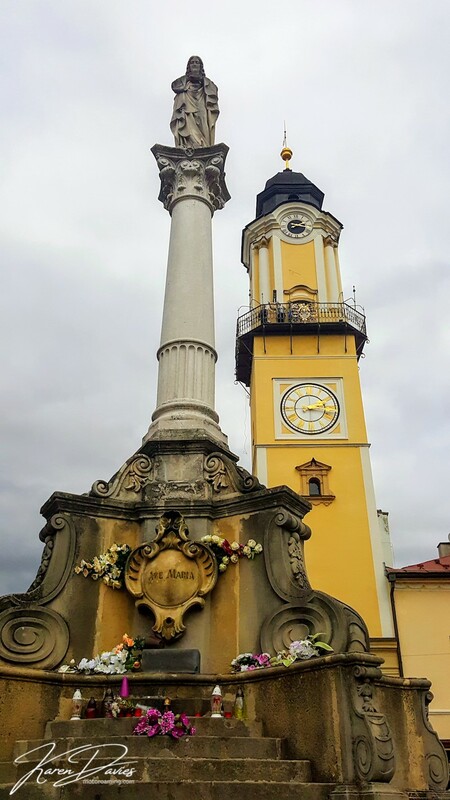 Then finally throw in for good measure that this 18th century city stands at the cusp of two other countries; Hungary and Austria – the only national capital to border two sovereign states. This creates a multi-cultural feel to this compact and bijou-style capital that has charm, architecture and a myriad of alleyways that set to intrigue the visitor as we look to master the secrets of this place. Click on the Gallery below for some more images. First things first. I love photography and so you will often find me guided around a city, or any place we visit come to think of it, for its photogenic quality perhaps rather than its factual and historical characteristics. 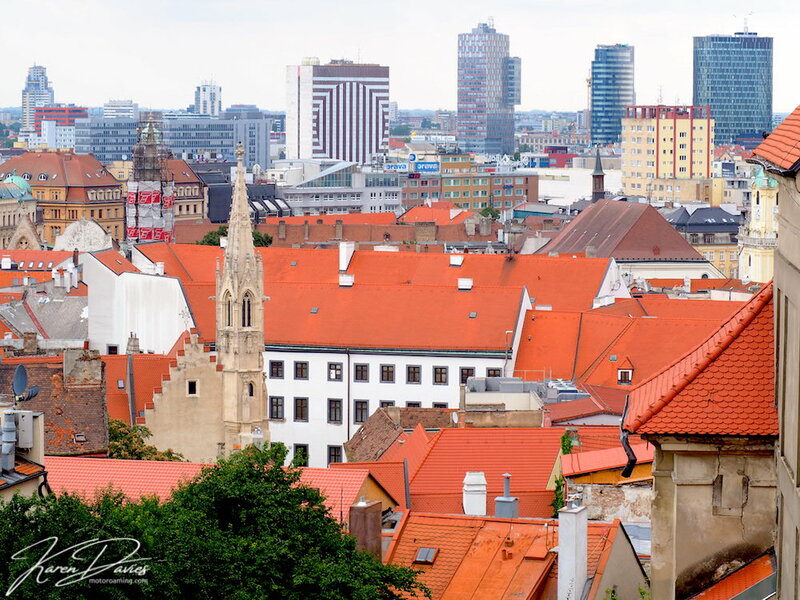 And so this is what I present to you today – photographer’s insight into Bratislava. Taking myself from our parking spot for the night, which was right on the Danube river edge, it was just a short walk across the Stary most bridge towards the hub of the city. 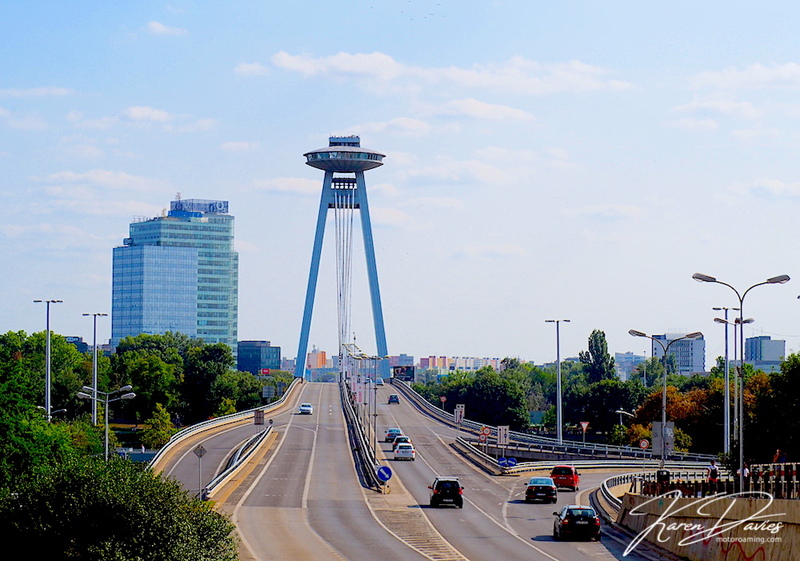 My first image of modern Bratislava caught my eye at that moment. Looking down the Danube with the view of Apollo bridge in the distance, the magnificent body of water edged by office blocks and the life that buzzed in, through and around it. Whilst not necessarily pretty as a picture, they do represent modern city life. Whilst the old town sector always capture my imagination more powerfully, I do love these abstract images of city life. 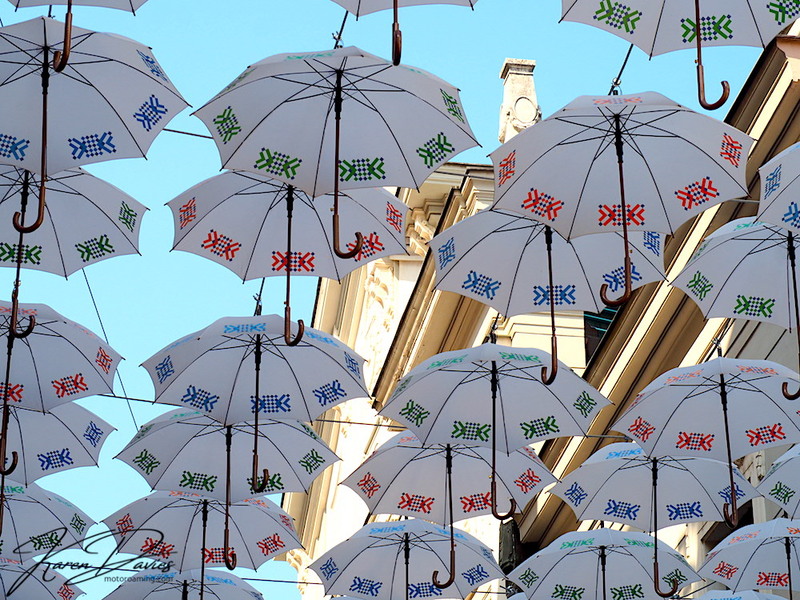 My next port of call, was to seek out Bratislava’s answer to the latest global trend of Umbrella Art. 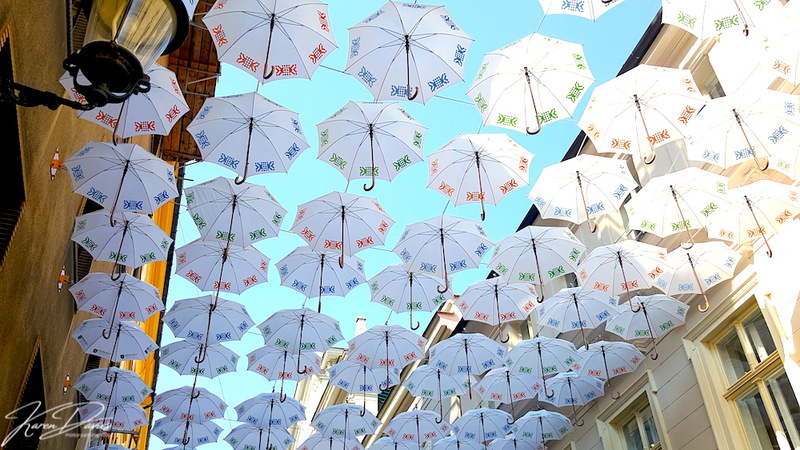 Streets all around the world started to follow Portugal’s lead three years ago when each July they celebrate the Ágitagueda art festival with a display of coloured umbrellas. 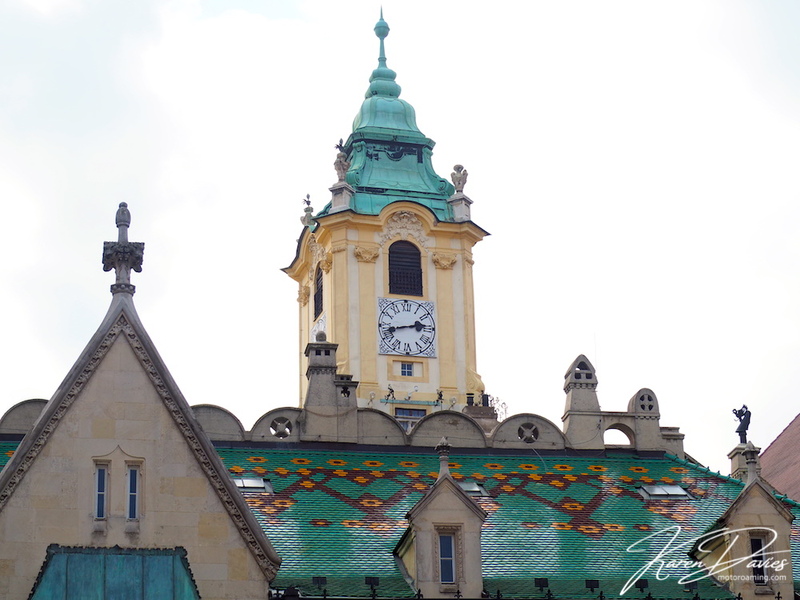 We saw our first display at Rupea Castle in Romania and so when I caught a glimpse of Bratislava’s very own offering, it was very much on my radar. Inspired by the beautiful cross-stitch embroidery from Vajnor’s surroundings and the paintings of Ľudovít Fulla, Bratislava makes its first 2018 appearance onto the Umbrella Art stage and can be seen at Nedbalka Street from 30 June until 30 September. Now I’ll be honest that it didn’t wow me as some of the images I’ve seen around the world of similar exhibits and in truth I don’t think the museum who sponsored it did it any favours with having scaffolding up, although this small exhibition sort of summed up Bratislava for me. Small, discrete, understated and, just cute. I’m not a great historian nor do I have a great fancy for museums, although my photographer’s eye does seriously appreciate architecture and this is something that Bratislava has in bucketloads. In fact between its medieval, baroque and gothic designs, you will have neck-ache with the constant gazing to the skies as you, like me search out the real truth of a city landscape. Bratislava has a good range of buildings that give a historical backbone to the city; Michael’s Gate is the only building preserved from the medieval fortifications and stands as a strong iconic symbol to this city, palaces appear on almost every street and churches take their lofty position as they guard the city’s spiritual well-being. And aside of the Old Town square which is full of life and vibrance from its café bars and fountains to its robust and ancient buildings, there are a multitude of alleyways that just call you to wander. And the beauty is that you never get lost. Click on the Gallery below for some more images. 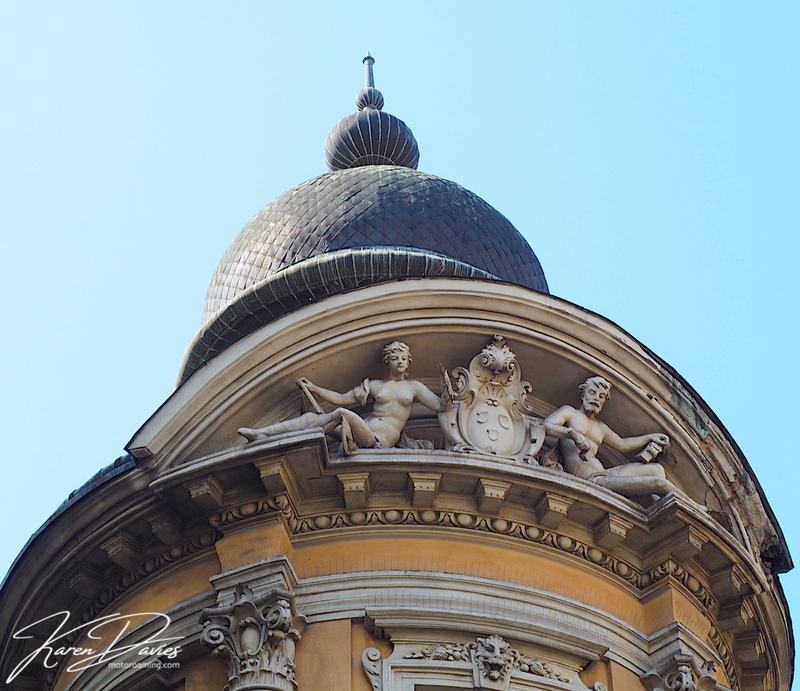 It’s always great to see how a city interprets art – we obviously see so much of it etched into the fabric of its buildings, although the type of art I’m talking about are the statue, monument and paintings type of art. 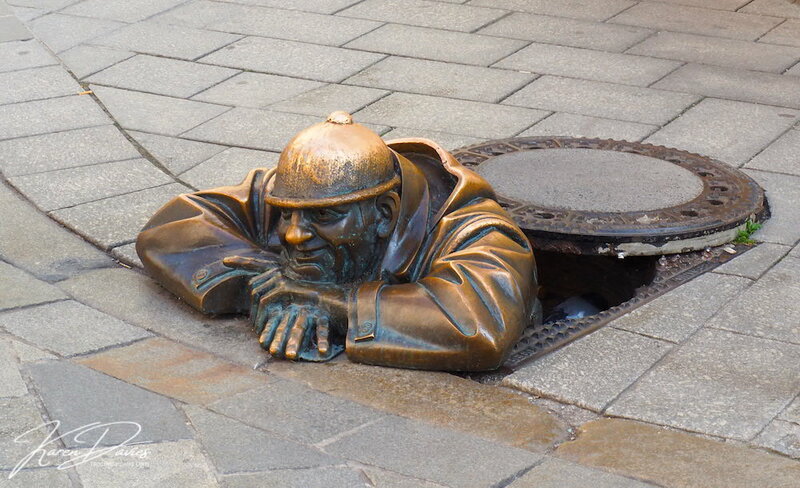 I didn’t find a huge amount in fairness, although Bratislava has huge competition with Poland’s Wrocław – now they seriously know how to do art. Although there were a couple of elements to reveal to the curious tourist and Instagramer. 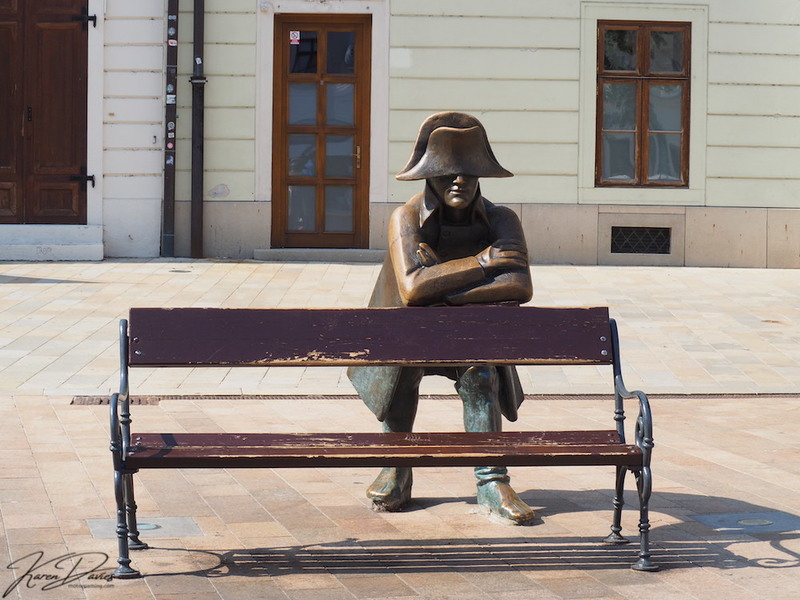 I found a bronze statue of Napoleon soldier in the Old Town square. Legend has it when Napoleon’s army was in the city in 1805 that Hubert decided to stay after he fell in love with a local and became a wine producer. Second is Cumil – which is translated as ‘Communist era worker who is simply not bothered’, created by Viktor Hulík in 1997. Touch the man’s head and make a wish – it is said to come true. This wall art was hard to miss on the outer edges of the Old Town. And what city would be complete if it wasn’t for its musicians. These guys were something else – their passion written into the lines on their faces. I’m not, if I’m really honest, a city girl. As an introvert traveller the frenetic energy of the crowds, the tourist traps and the traffic are just too much for me to bear – well for too long anyway. So you’ll only ever find us in a city, or even a town come to think of it, for half a day. That’s normally enough for us to soak up the feel of a place. Then we retreat back into the heart of the countryside to recharge our batteries. That said I am a bit partial to an Old Town. They capture the essence of history, the locals who lived there in a bygone era and, I think they stand as a testimony to the scars, battles and victories. I also love the photogenic quality they offer me to see the people interacting around the city’s heart. 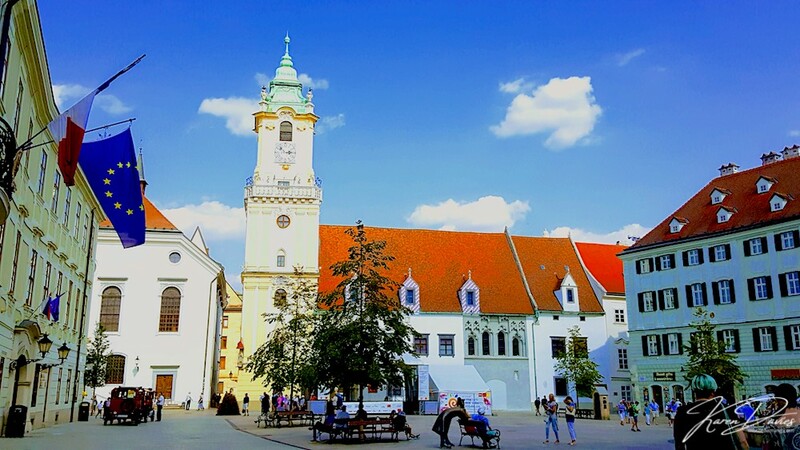 Bratislava’s Old Town is based around its main square – Hlavné Námestie and where you find its Japanese Embassy, City museum, Old Town Hall and of course an obligatory fountain with pigeons. This has a lovely feel to it and from here the town has arterial veins that spur off in all directions, enticing you to follow. Alleyways that intrigue, streets that implore your gaze and archways that just have to be walked through. Of course you could just follow one of the many walking tours although that’s not so fun. 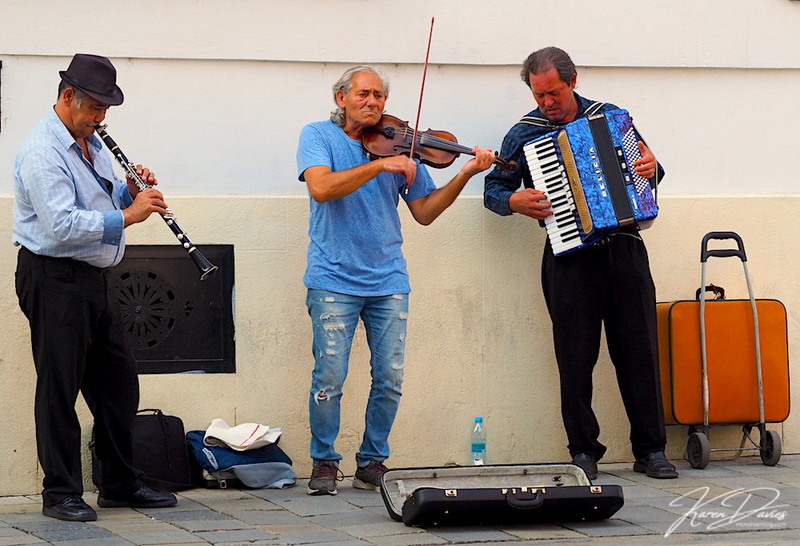 Here’s some of the images I found that I think sum up the soul of Bratislava. Click on the Gallery below for some more images. I just love contrasts that the world presents to the willing viewer – for me they defy logic and structure. And in a world that often demands conformity I love that contrasts stick a right royal two fingers up to that notion. Bratislava I thought had plenty of contrast weaving throughout its streets. In particular I loved how its magnificent castle holds its rightful place overlooking its kingdom, proud and strong. And right opposite it in direct contrast you have the most boldly designed bridge I have ever seen. 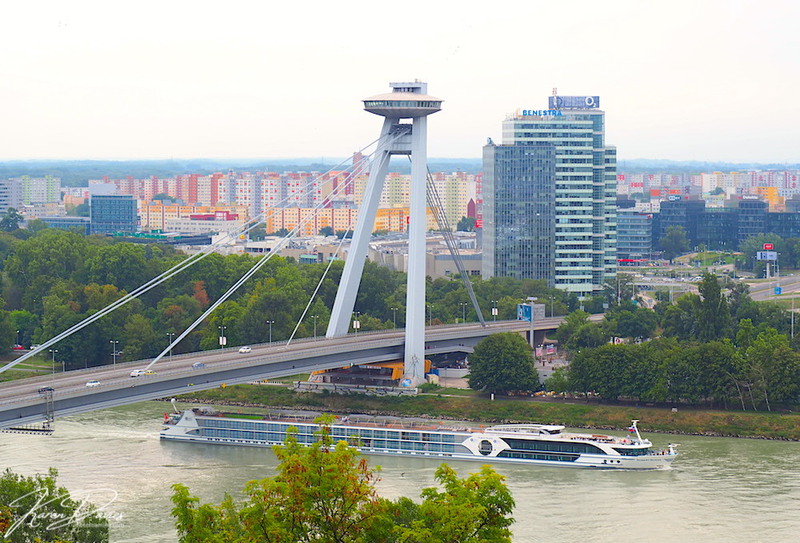 The UFO Bridge seriously competes for centre stage on the Bratislava vista. Now the castle is a thing of beauty although at this point in my tour, my energy had run out to visit inside, so I admired from below like so many of its past subjects. Heading back across the bridge of many names was my final goal. This is a pretty unique bridge; it is the 7th largest hanging bridge in the world and its top is shaped like a space ship, hence its UFO label – you can even eat up there, which must be a terrific experience. 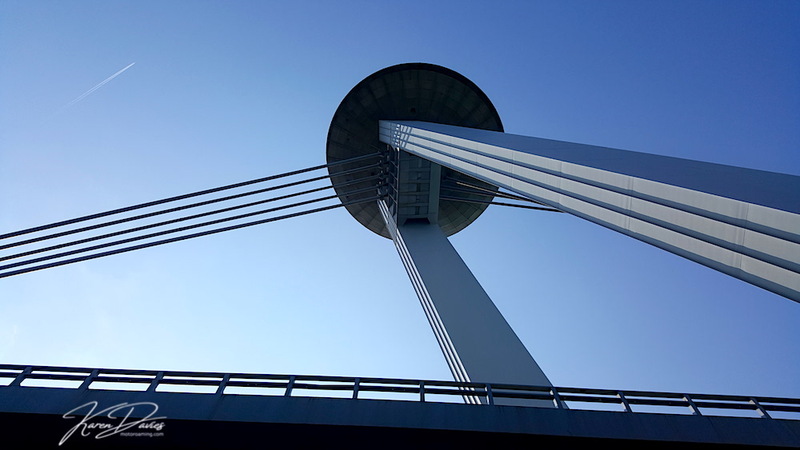 With a 45 second lift ride up to the Observation Deck where, after parting with €7.40, you can enjoy a panoramic view of the city and beyond – on a clear day. 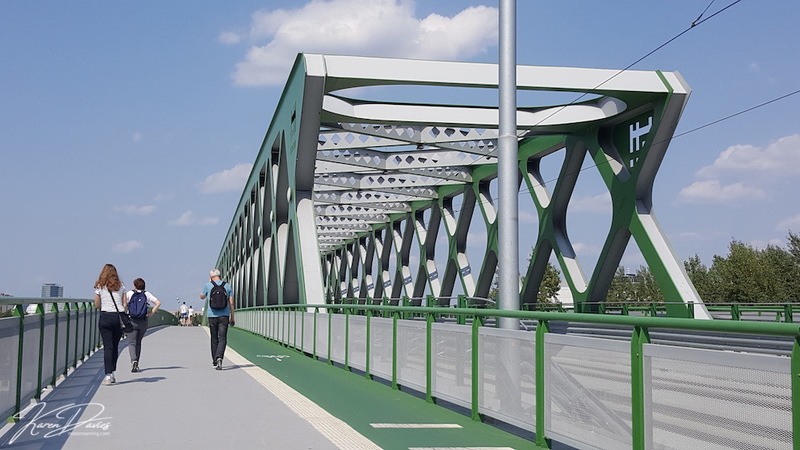 The bridge is also significant as a memorial to the Slovakian Uprising of 1944, hence its secondary name the most SNP bridge or New Bridge if that is too much of a mouthful. 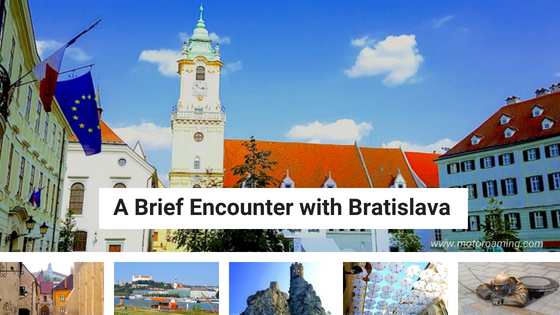 It is a serious work of art and definitely worth putting on your Bratislava itinerary. On a return trip to the city four days later with a friend, we had the chance to look around the castle grounds and it is seriously beautiful and the views spectacular. It’s easy to stay enslaved to a city’s beauty and be captured within its walls never seeing outside its confines. And yet there is so much more to see within such easy striking distance. 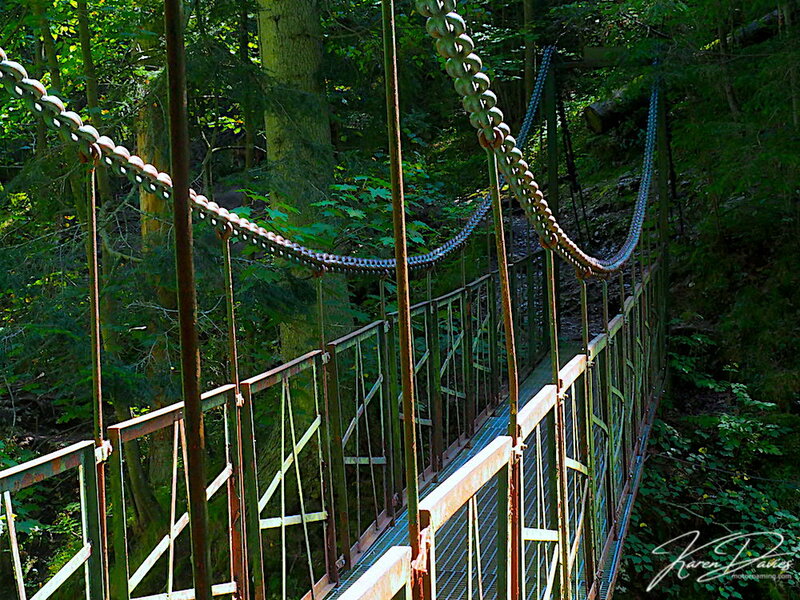 For one, stretching north you have the Small Carpathian mountains for hiking pleasure. 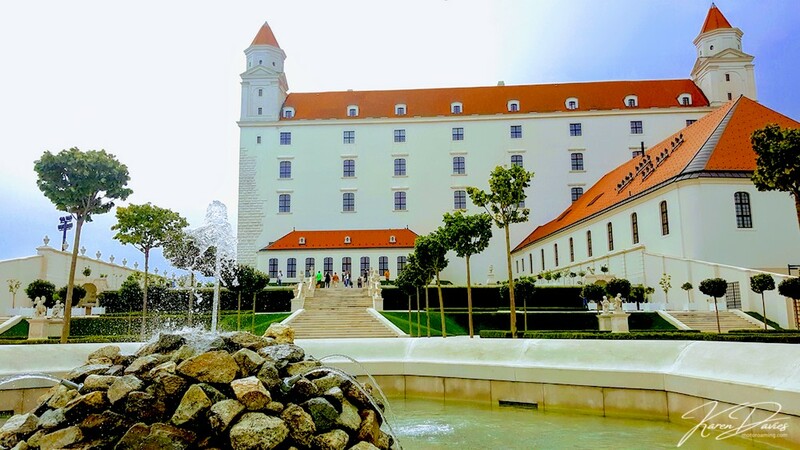 You have the many vineyards that gently cling to the rolling hills to the east, west Austria’s Vienna calls, no more than an hour drive and a little bit further on you can reach the charismatic Budapest in Hungary. I don’t think I’ve ever been to a city that has such a great central hub for visiting other places. Although my final sharing for today is not quite that far afield – just a mere 12km away up the Danube towards the Austrian border. Devín and its castle are definitely worth a detour. 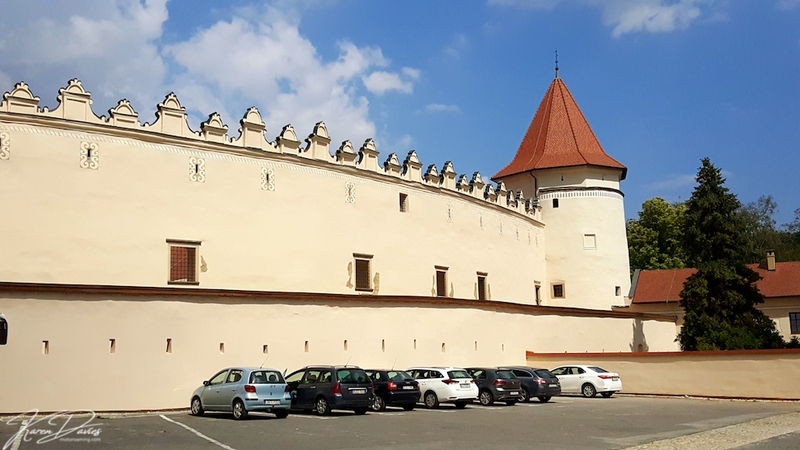 At the confluence of the Morava and Danube river, a stronghold settlement has been here for over two centuries and from 13th century the castle began its evolution. Although destroyed by Napoleon, its remains have become a National Cultural Monument and for €5 you are able to enter the castle grounds to learn about its yesteryear tale. Walking around the area is beautiful although it has a cloak of darkness veiled around it. 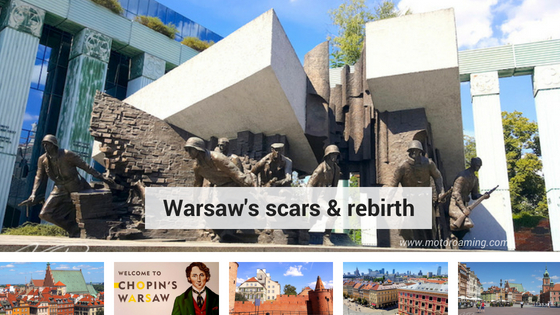 You will see memorial stones and monuments that have been erected to commemorate those who died during the Cold War. The Iron Curtain was drawn right on the edge of the Danube riverbank in-front of the castle and it is said that over 400 people died trying to cross it in a bid for freedom on Austria’s western shores. These tributes serve as a cold reminder of times when persecution and dominance still had not been healed from the horrors of WW2. Click on the Gallery below for some more images. Based on our two trips, whilst my first impression was I am sure jaded by my virus, my return journey nailed my adoration of Bratislava. So based on our experiences, here are our top tips for making the most of the city. If you can visit on a Sunday, the crowds will be significantly reduced and you will have more space to explore. Visit the Castle grounds, which are free of charge – so if you’re on a budget then this is a fabulous way to not only see the whole cityscape, you also get a peak into the grandeur of the grounds. Do allow at least half-a-day, as by the time you have wondered, visited the castle, had a coffee/beer and visited a museum or two, you will need that time to really feel the city’s heart-beat. Parking in the city is tricky, so head over to the opposite side of the river and park in the free parking area by the Stary Most Bridge. Walk over the Stary Most bridge through the town and then back across the UFO bridge for a really good all round view of the city. Stop at one of the many cafés and bars; first it’s incredibly cheap and secondly it’s great to just watch the world go by and feel the city’s pulse. Do buy one a Gelato ice-cream – they are something else. 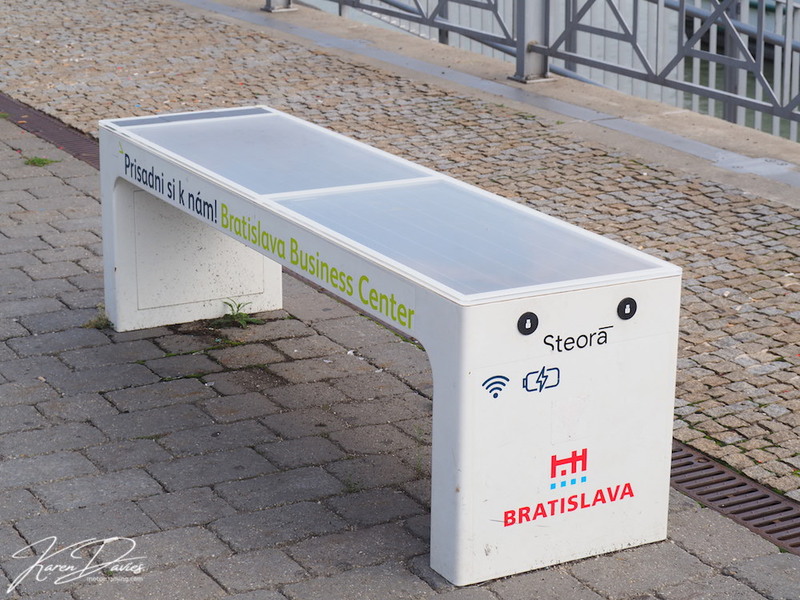 Take your phone-charger cables as they have just installed charging benches along the Promenade by the old town. So if you have been spending too much time on Social Media and run out of juice, why not take a load off and take a charge. 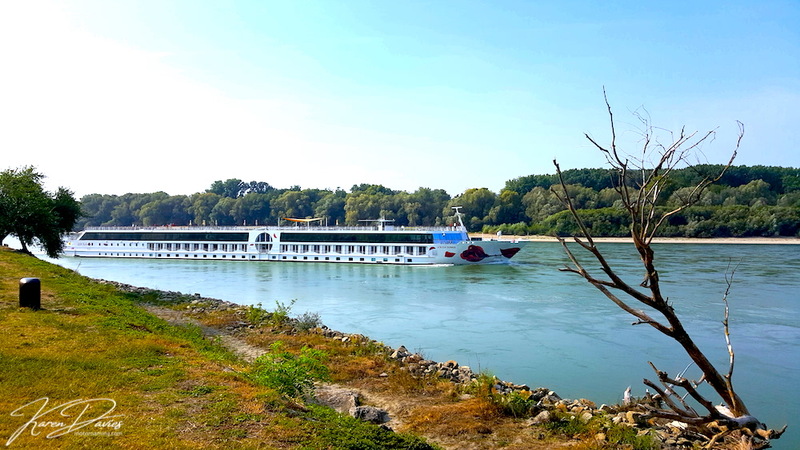 Why not take a hydrofoil to Vienna, for €40-70 and just 80 minutes of your time, you get to see the Danube in all its beauty and get to see two cities for the price of one. How’s that for a super travel experience? Check out up to date prices here. 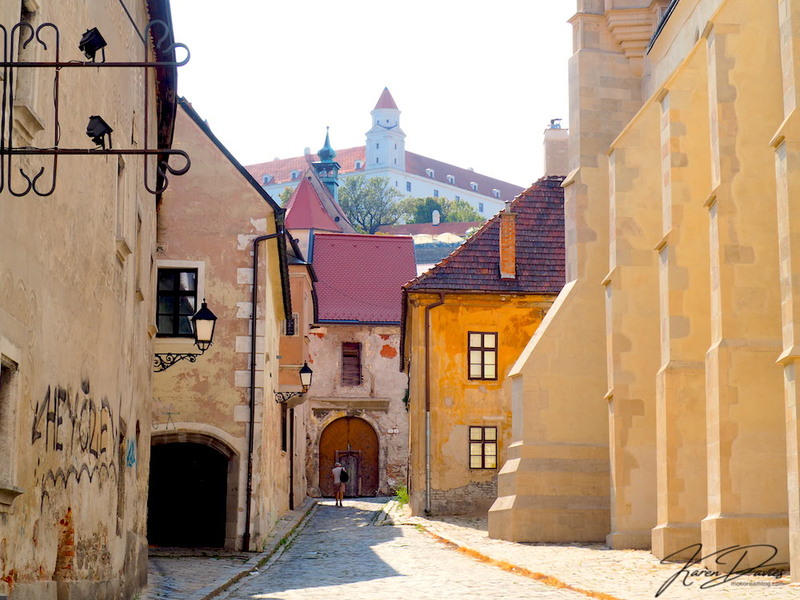 And so there is your photographic journey through Bratislava, seen through my eyes and my lens. 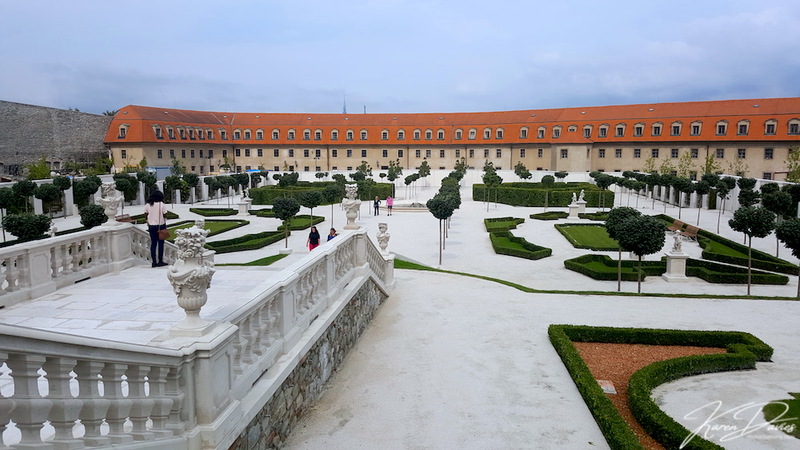 It may not be a weekend break type of place, although it certainly deserves a visit en route to Budapest or Vienna. I enjoyed what I saw and thought that a half-day excursion was well worth its value. I hope you enjoyed the ride too.